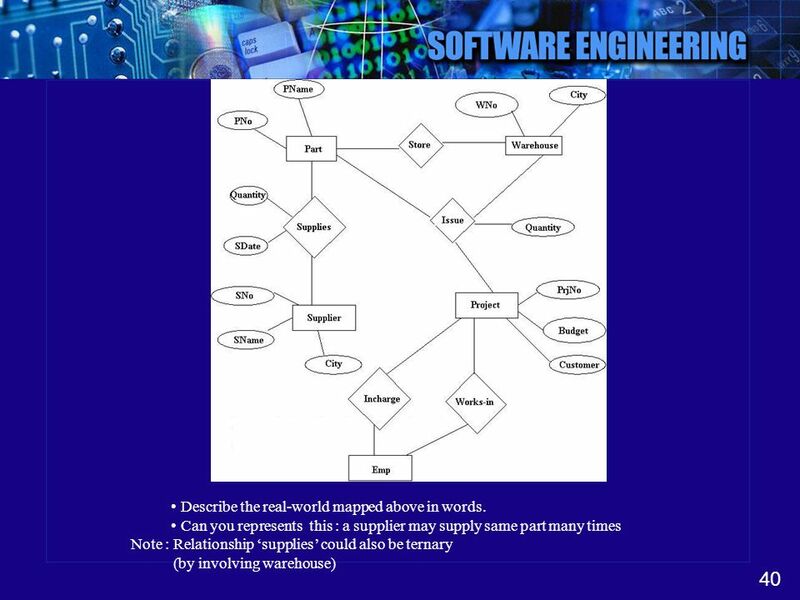 40 Describe the real-world mapped above in words. 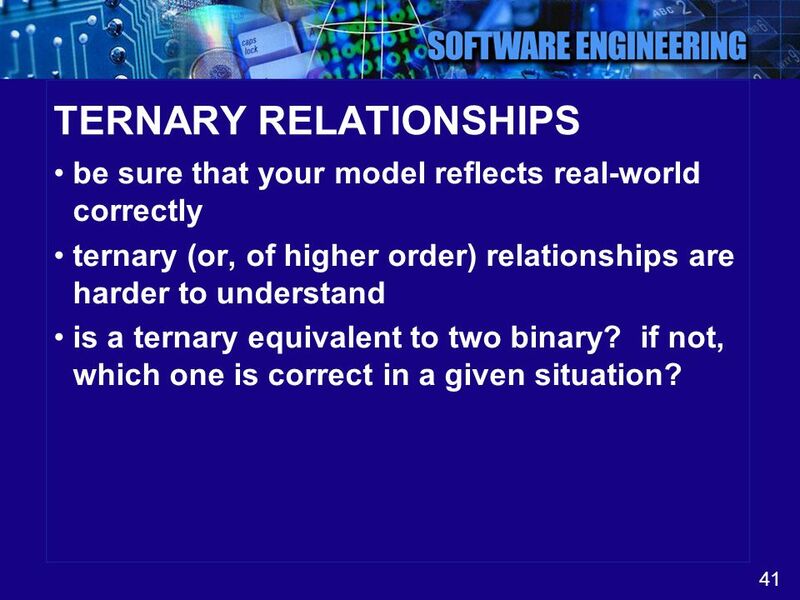 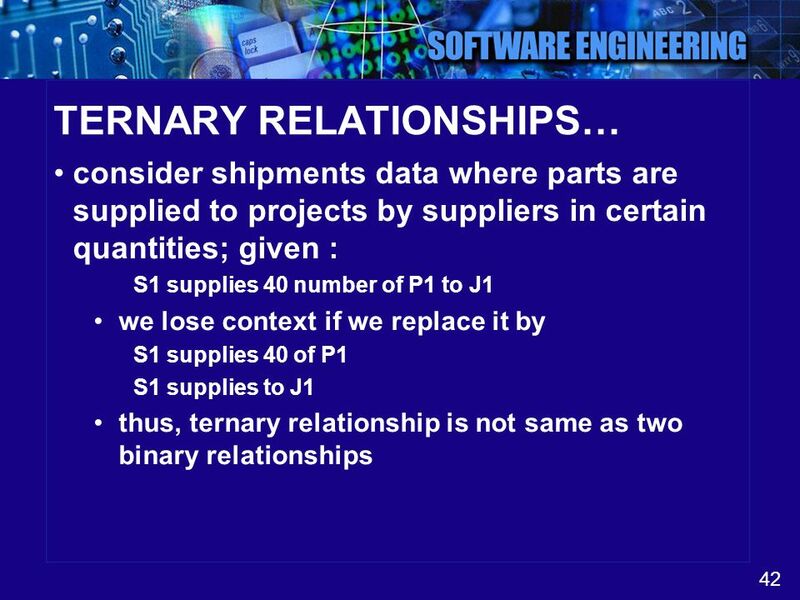 be sure that your model reflects real-world correctly ternary (or, of higher order) relationships are harder to understand is a ternary equivalent to two binary? 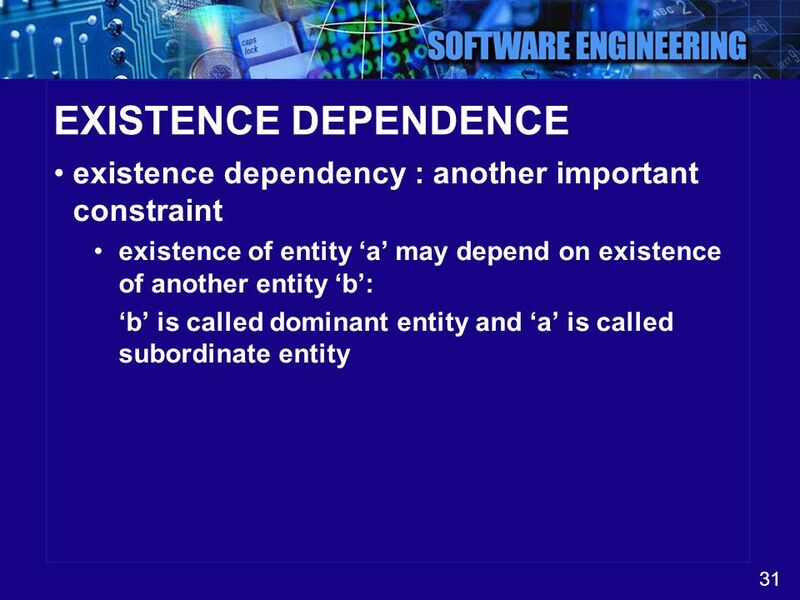 if not, which one is correct in a given situation? 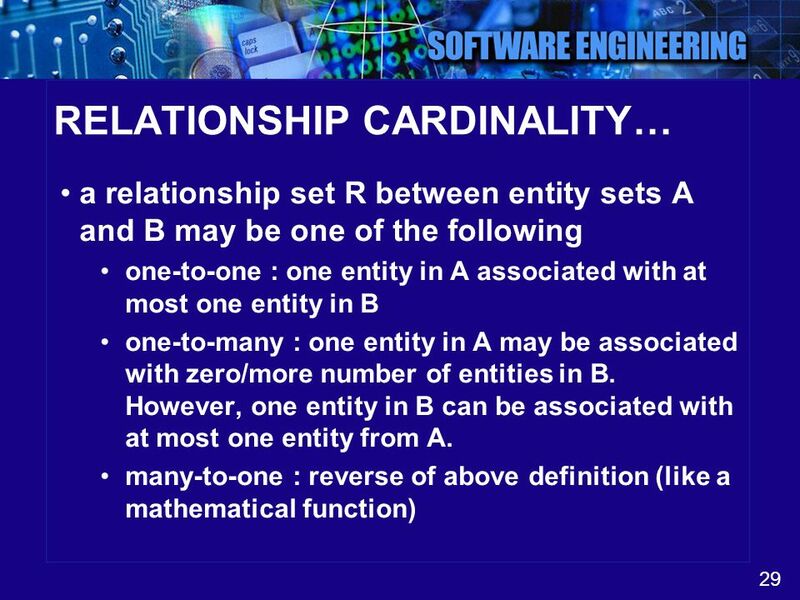 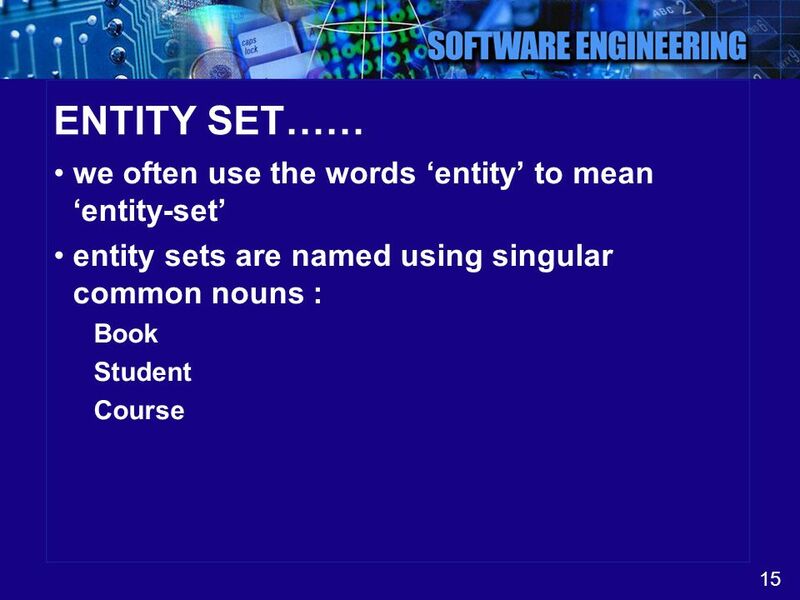 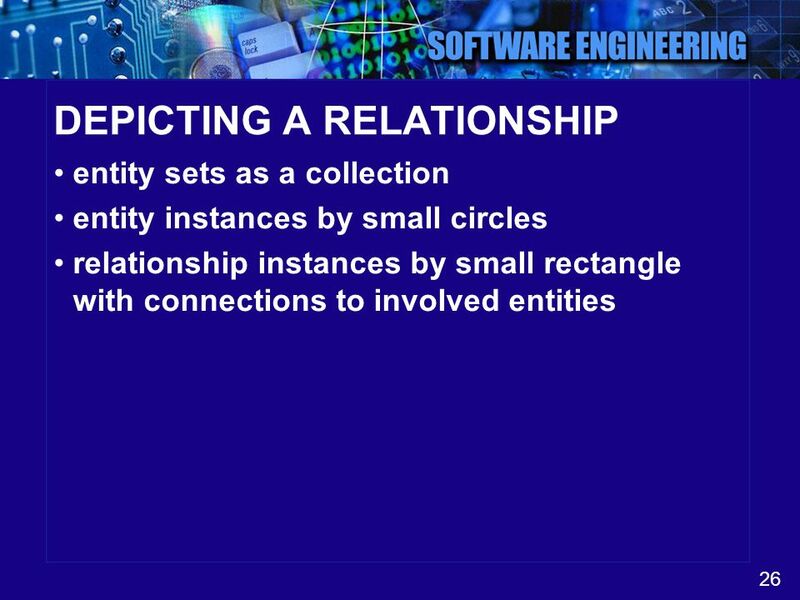 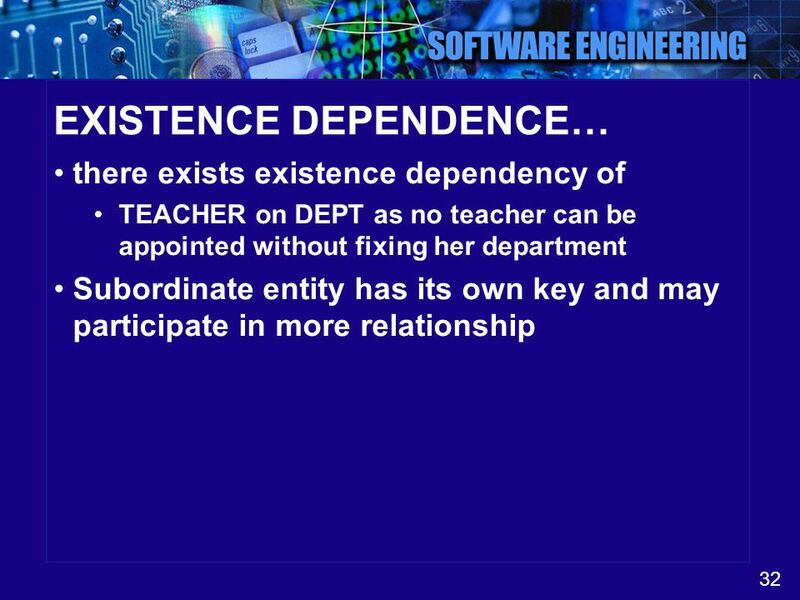 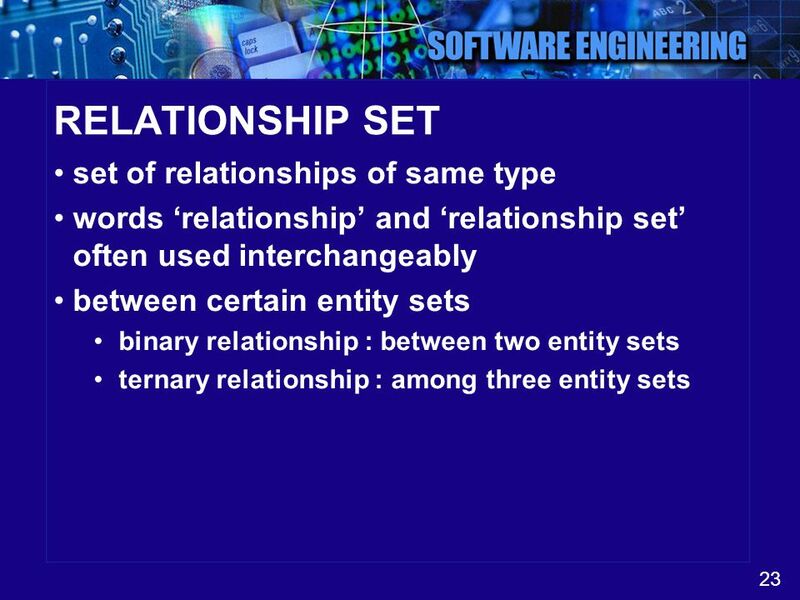 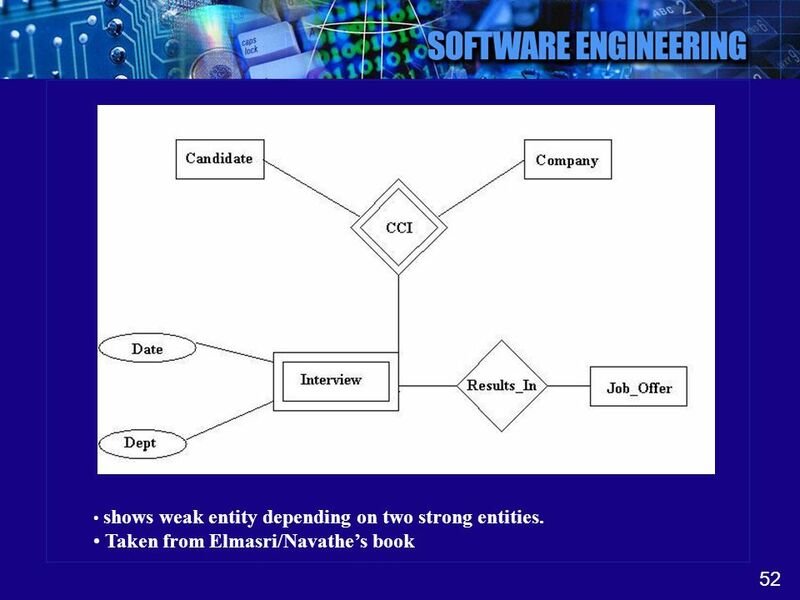 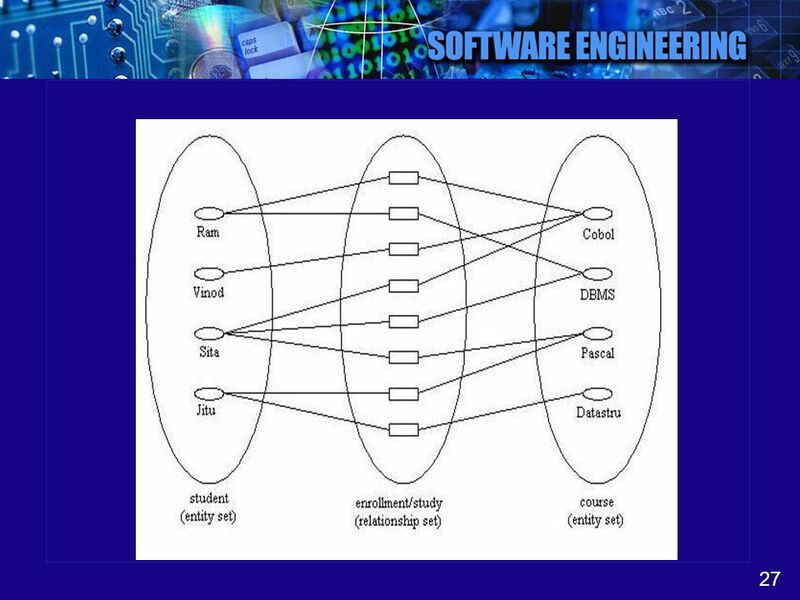 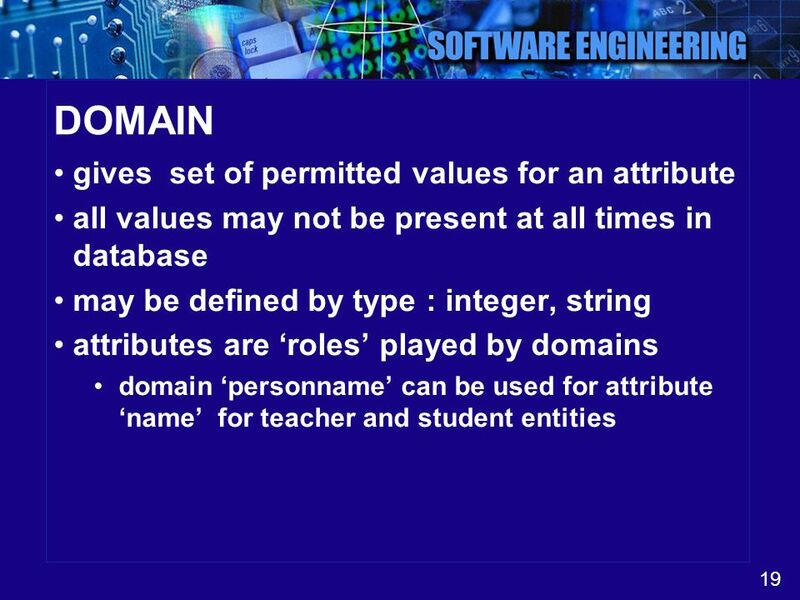 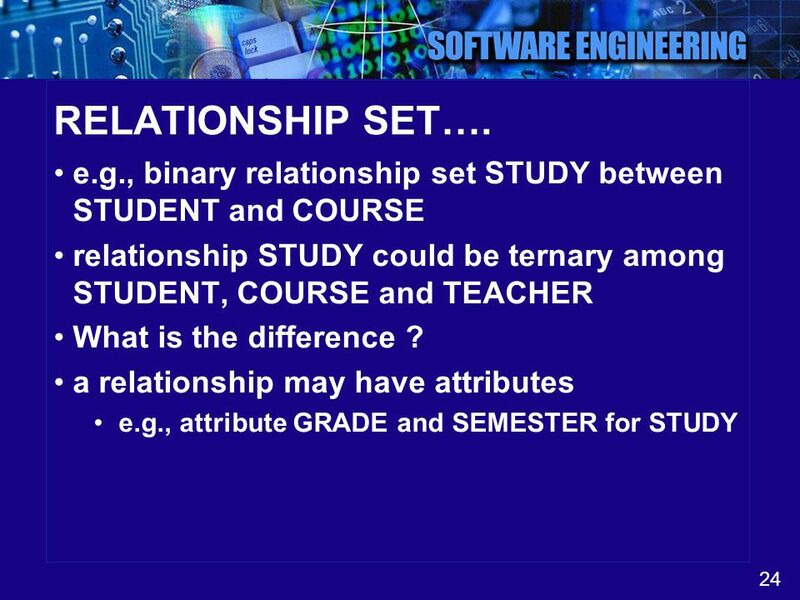 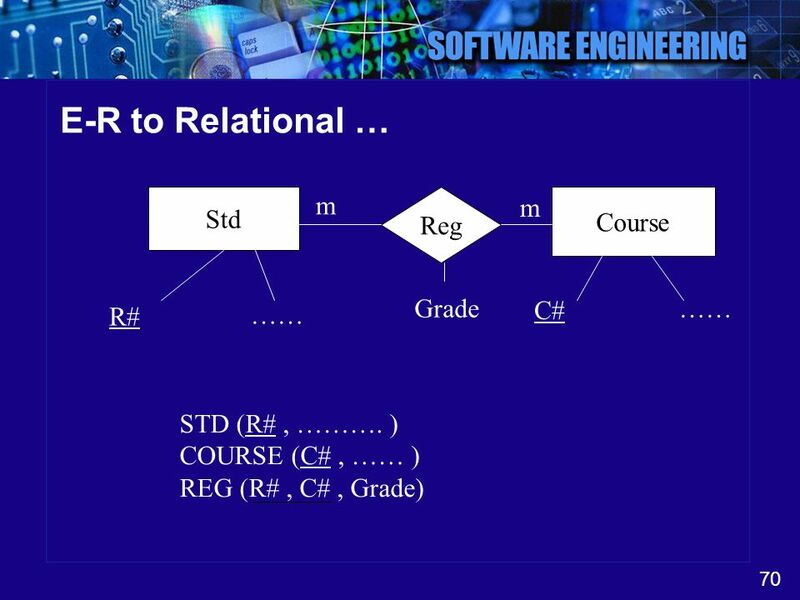 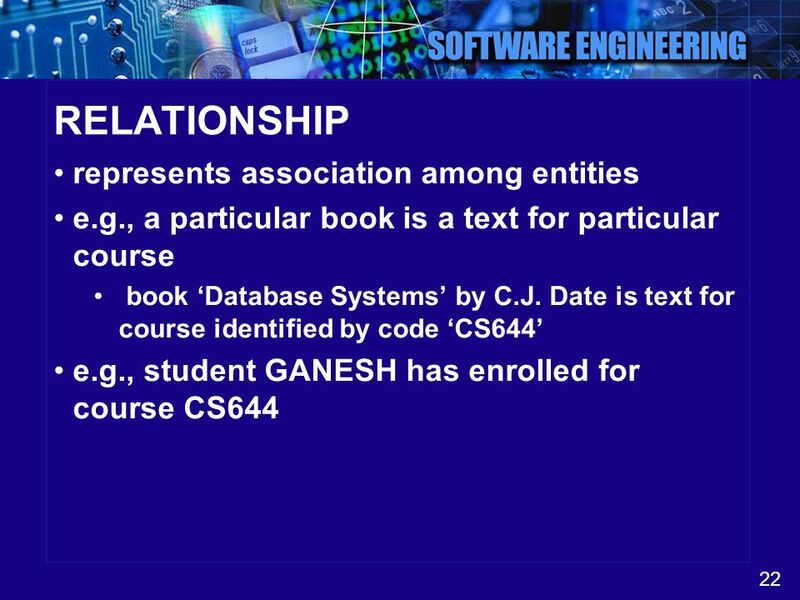 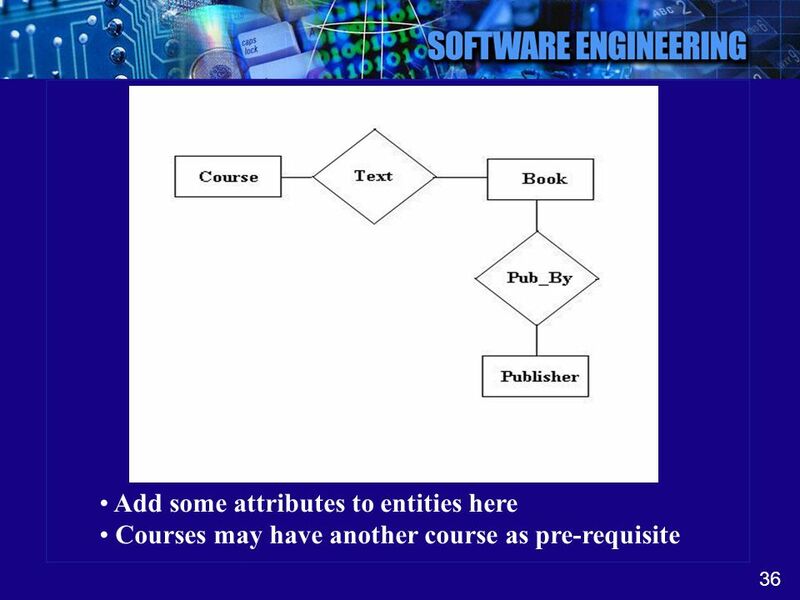 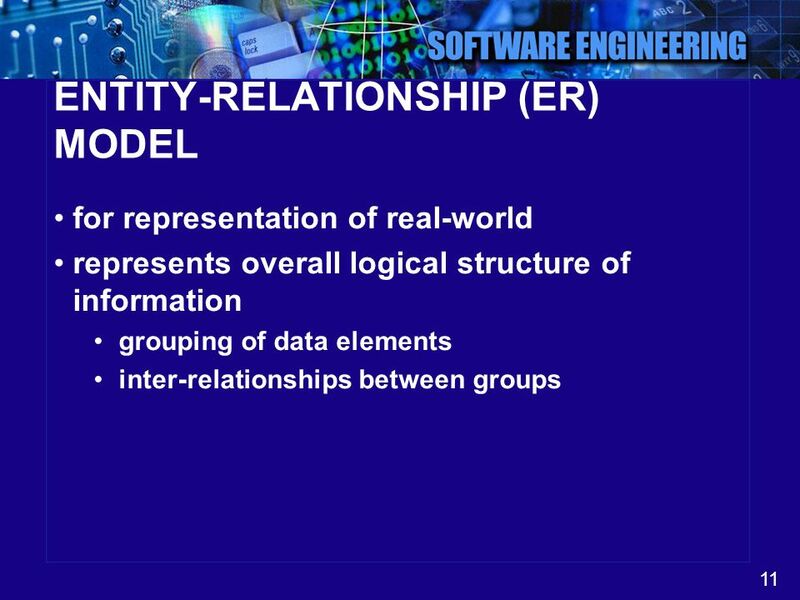 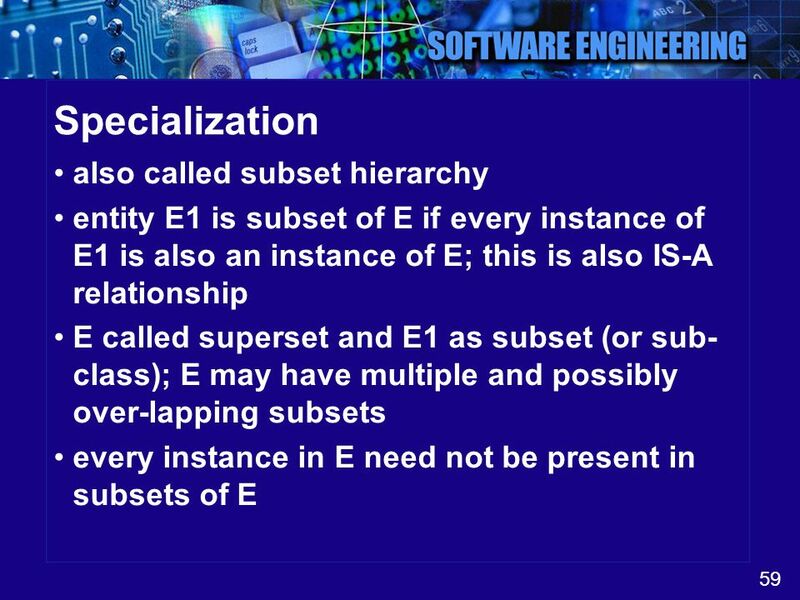 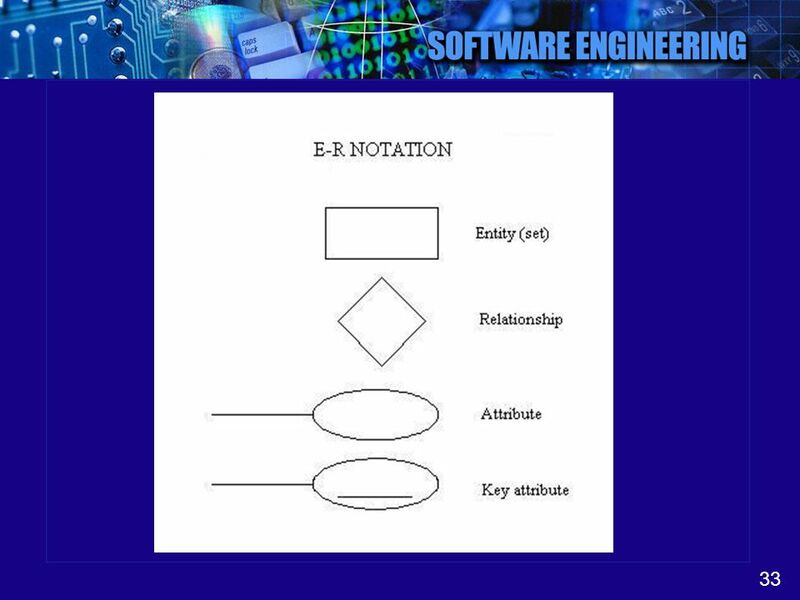 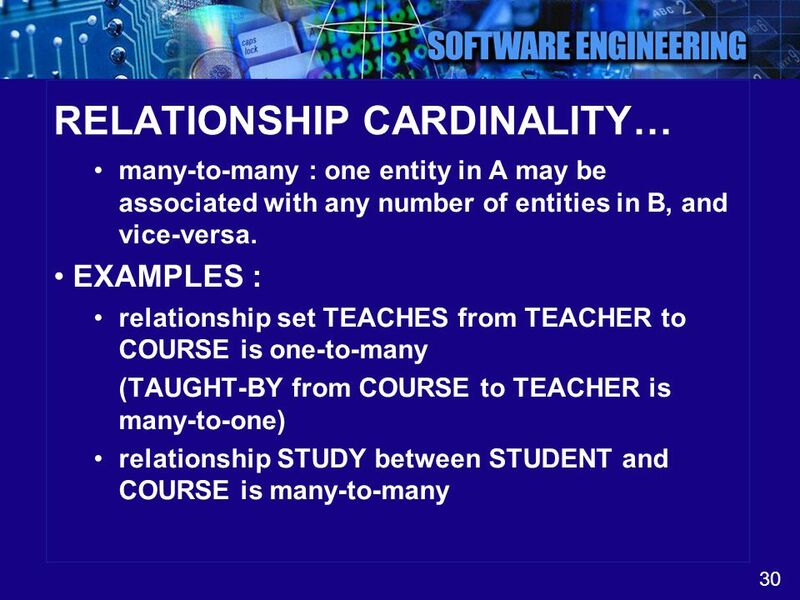 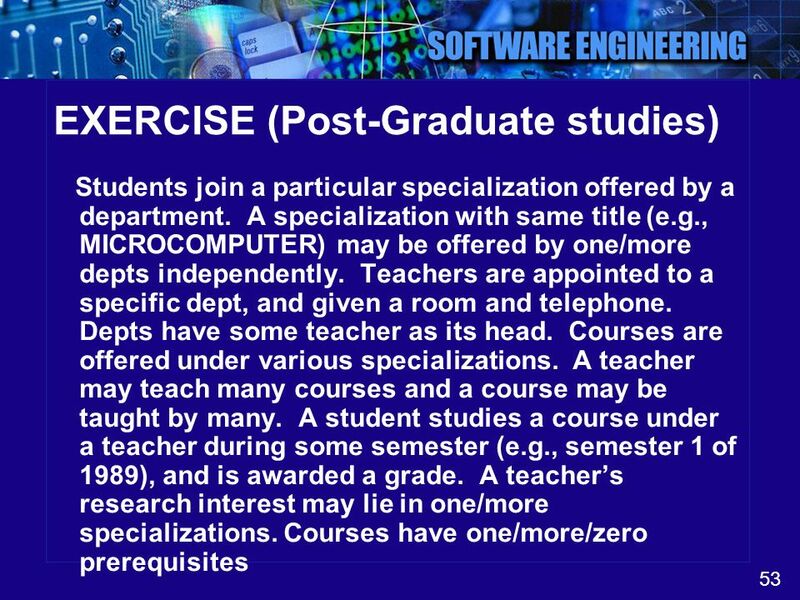 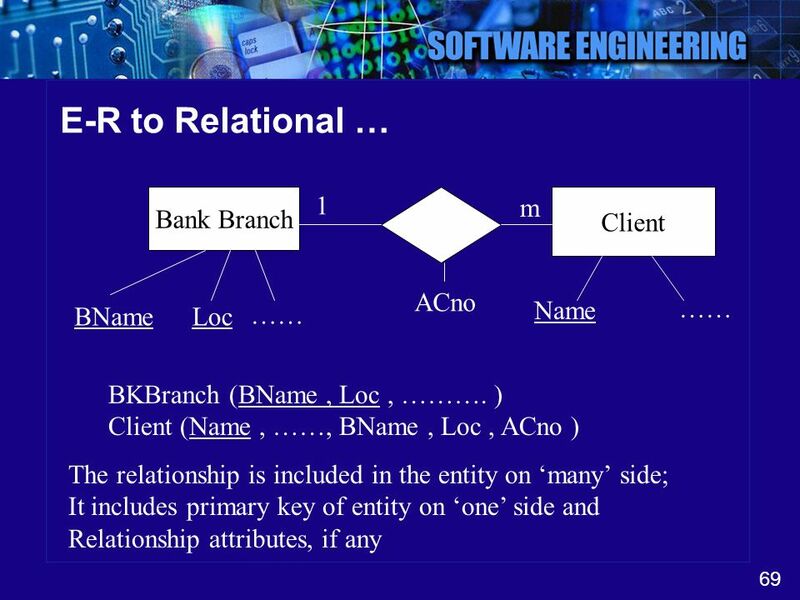 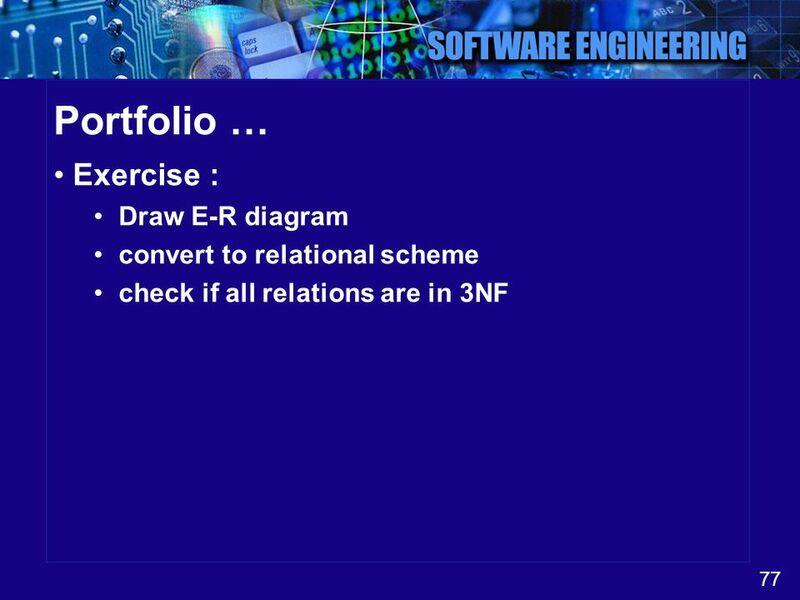 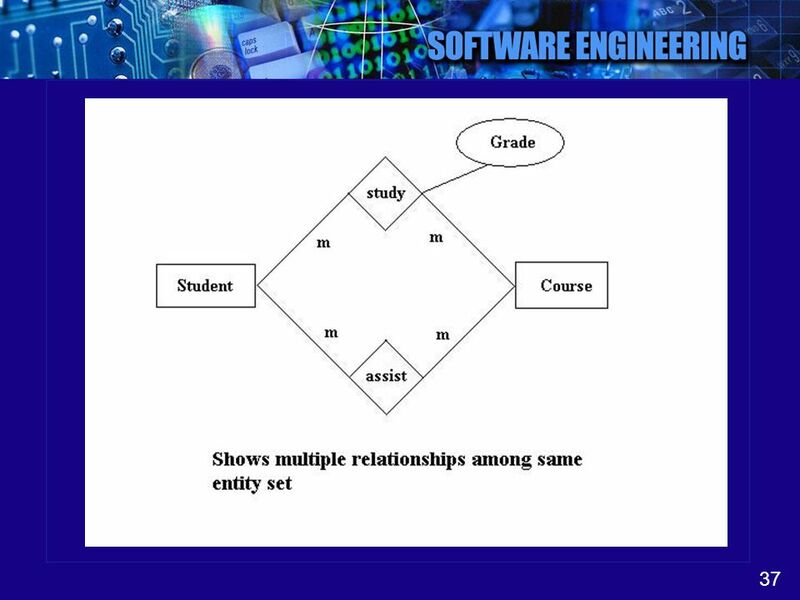 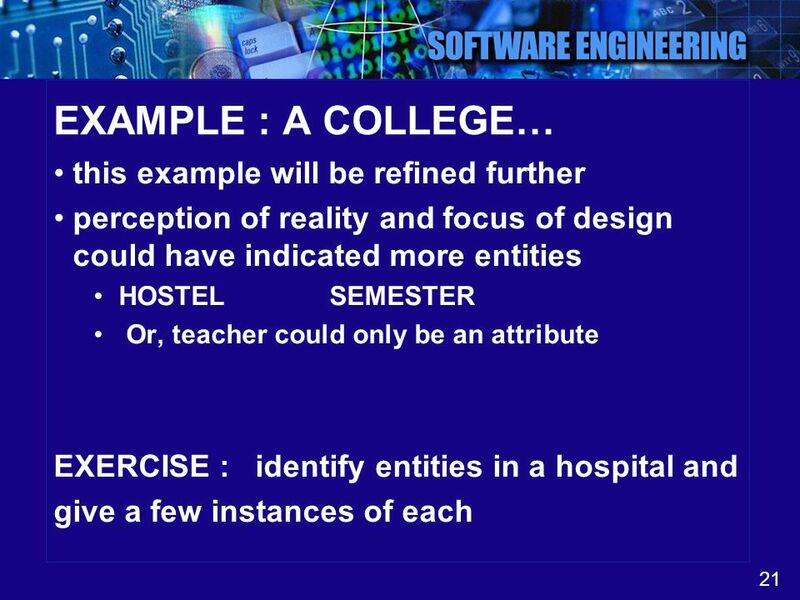 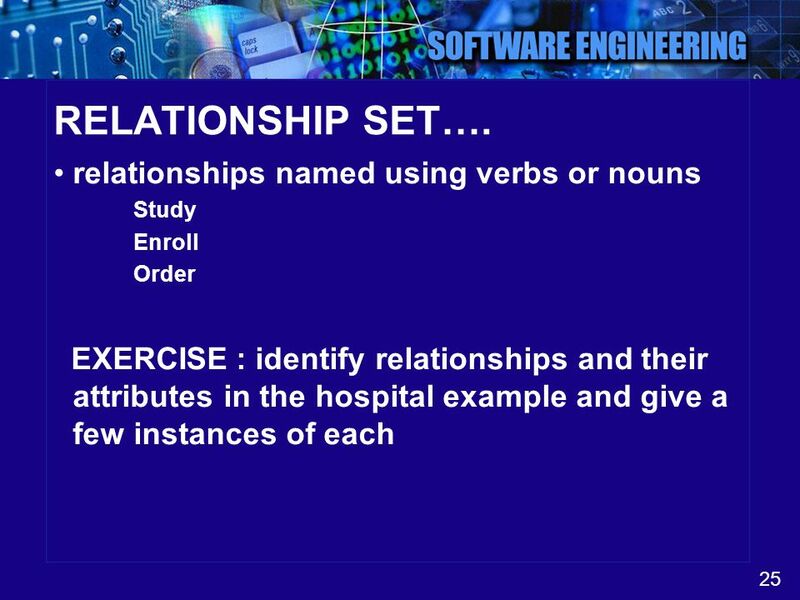 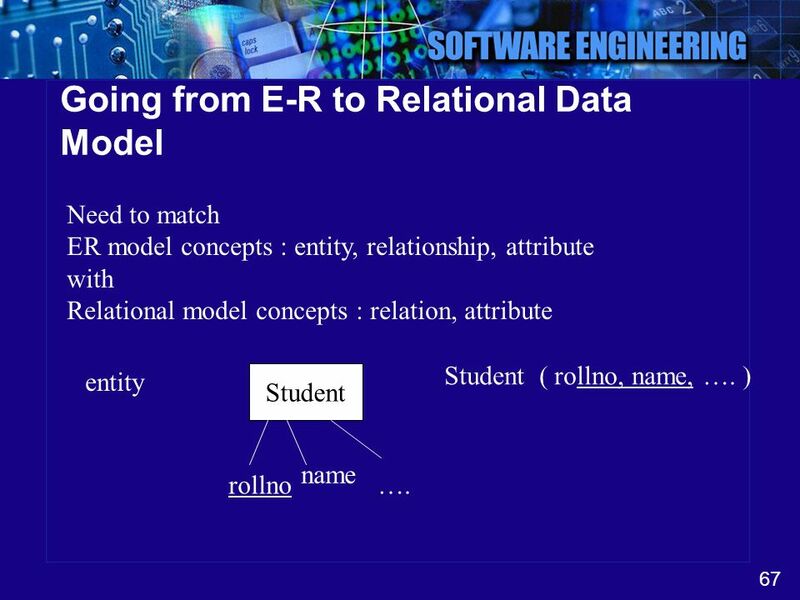 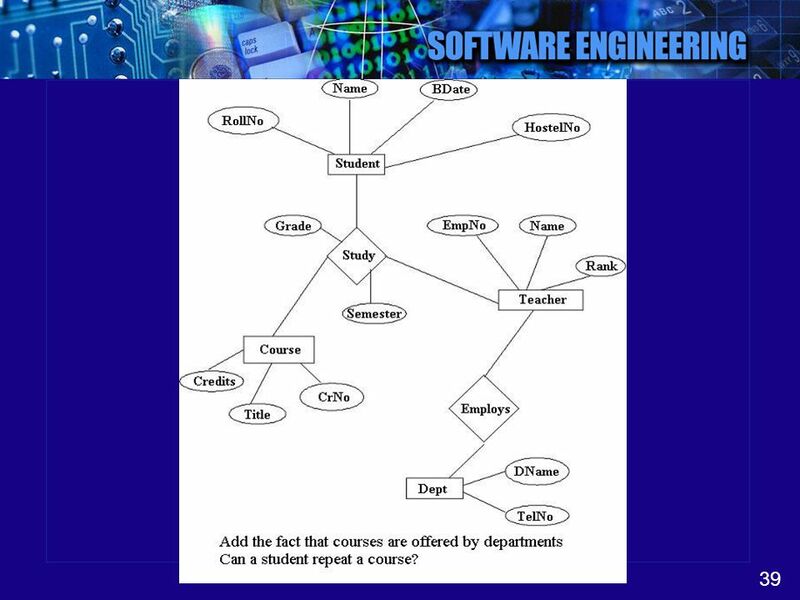 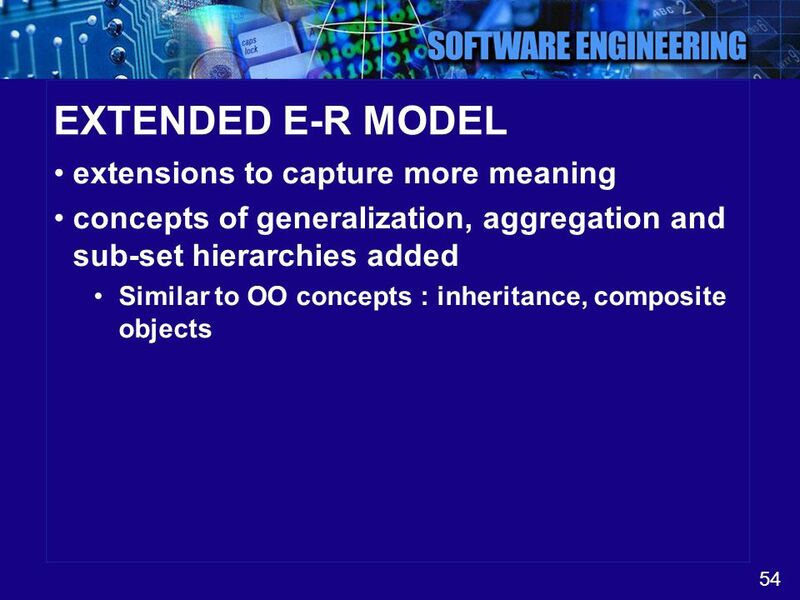 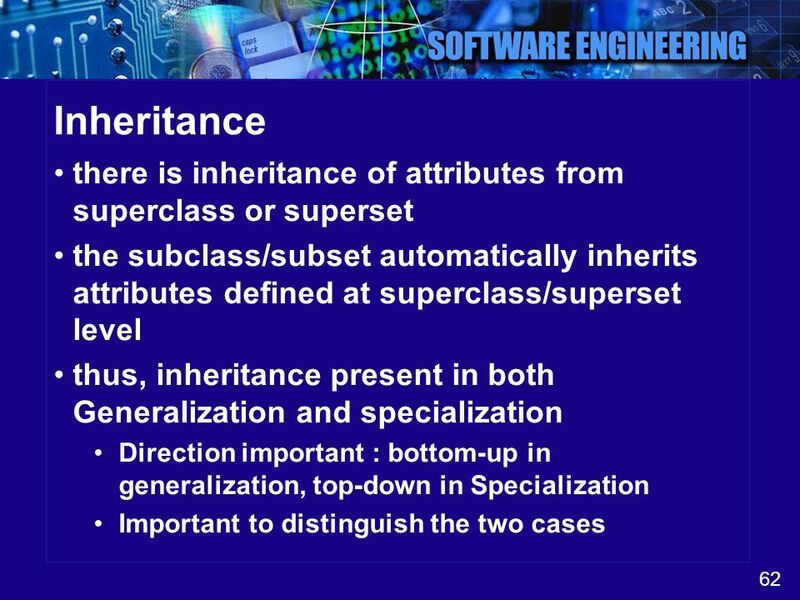 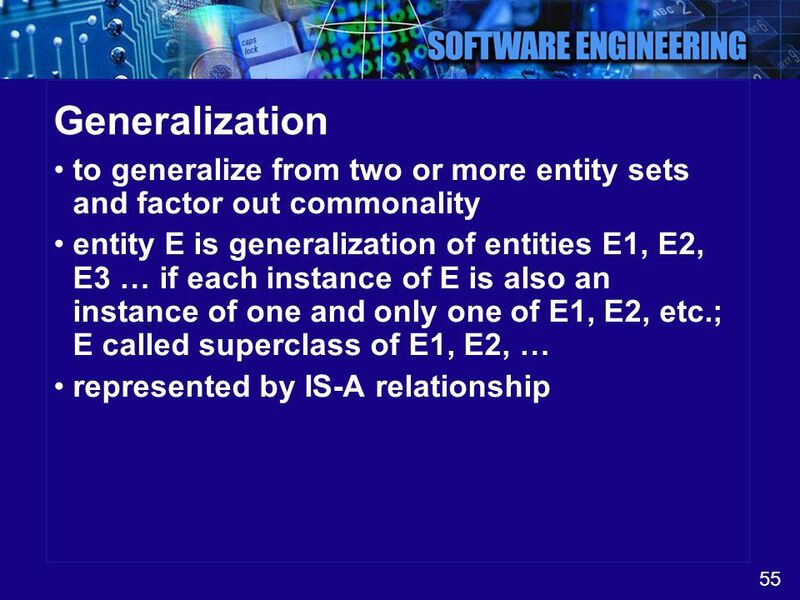 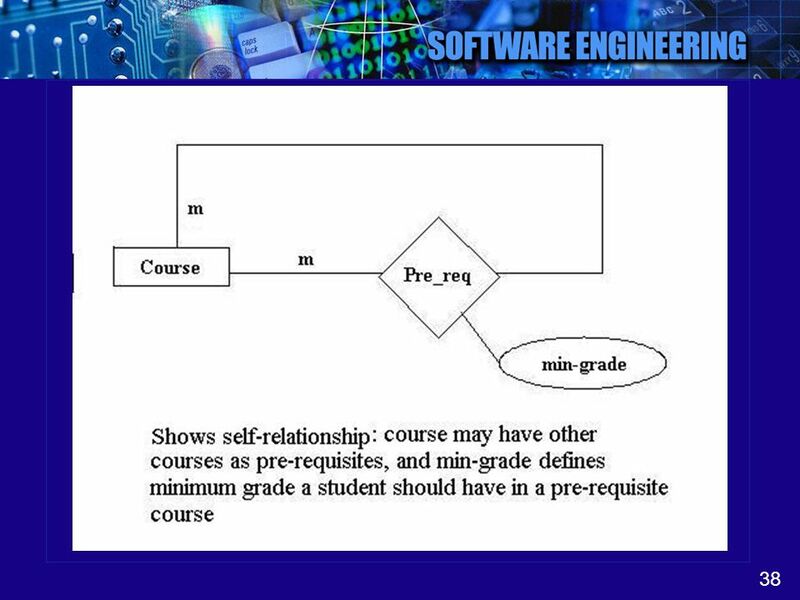 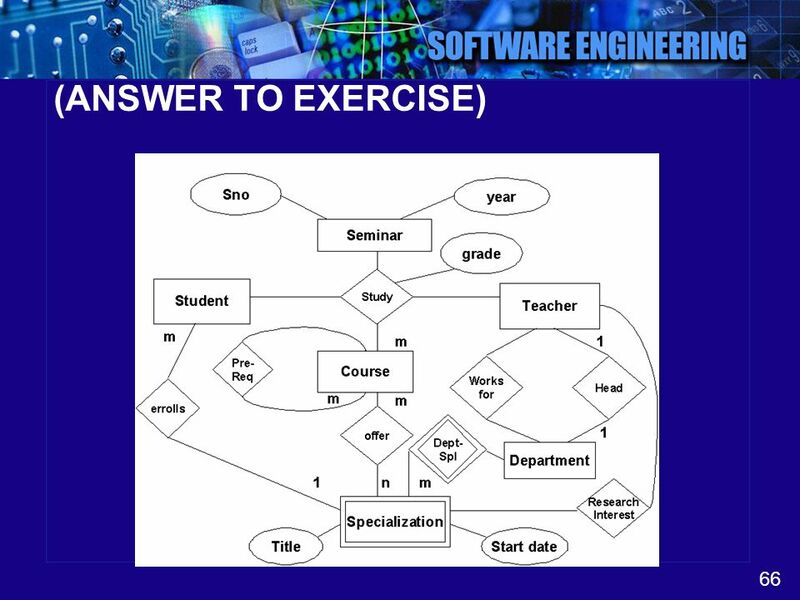 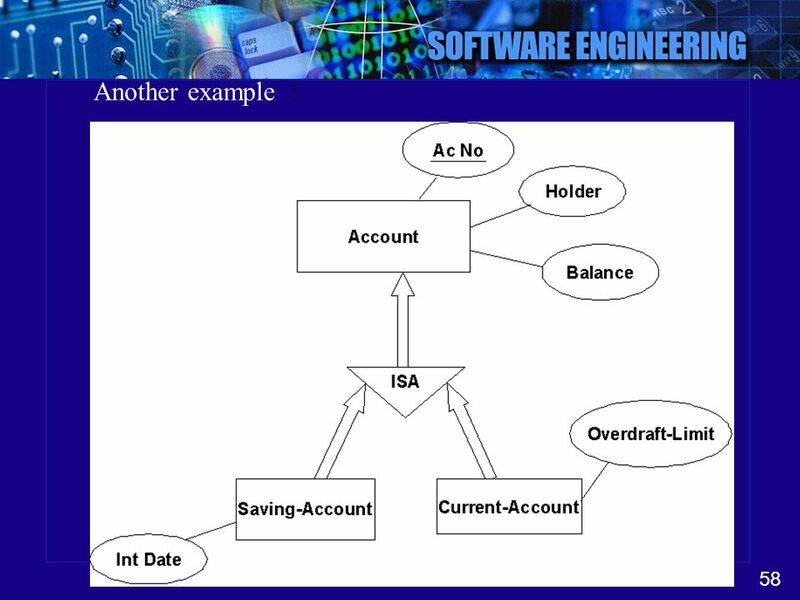 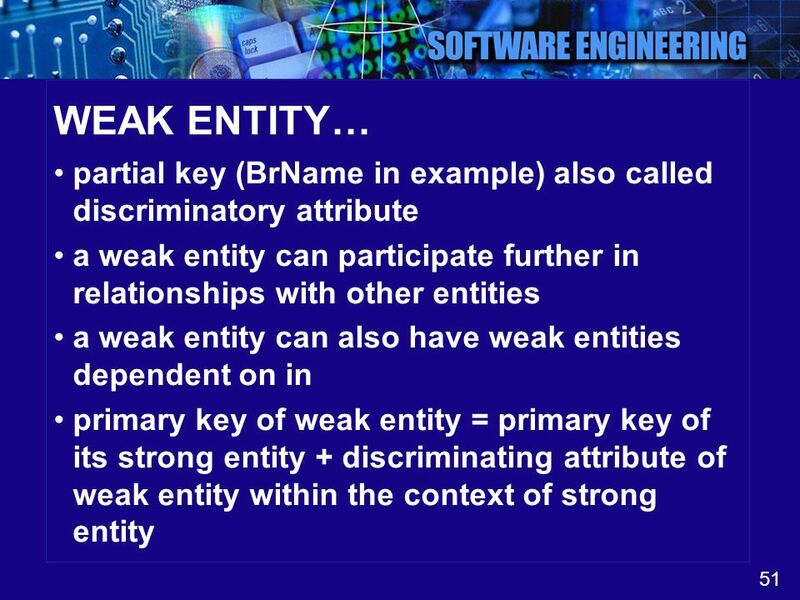 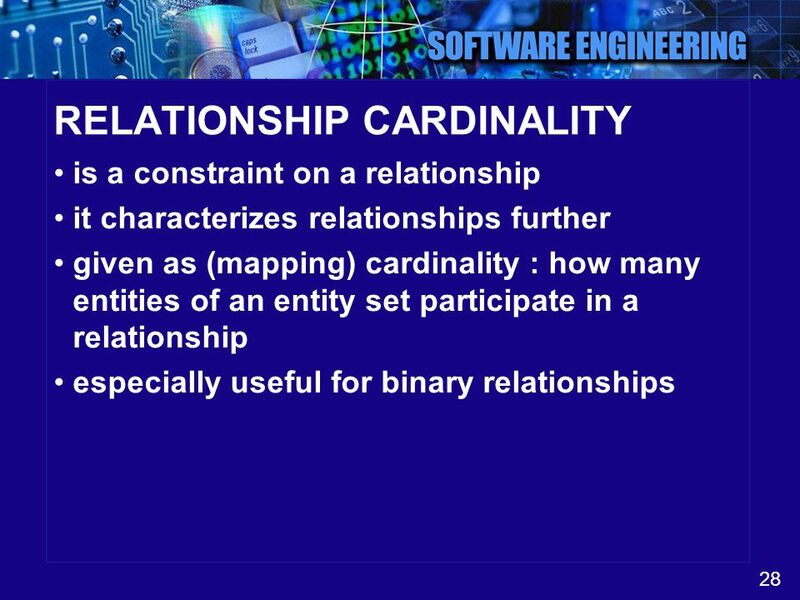 Need to match ER model concepts : entity, relationship, attribute with Relational model concepts : relation, attribute Student ( rollno, name, …. ) 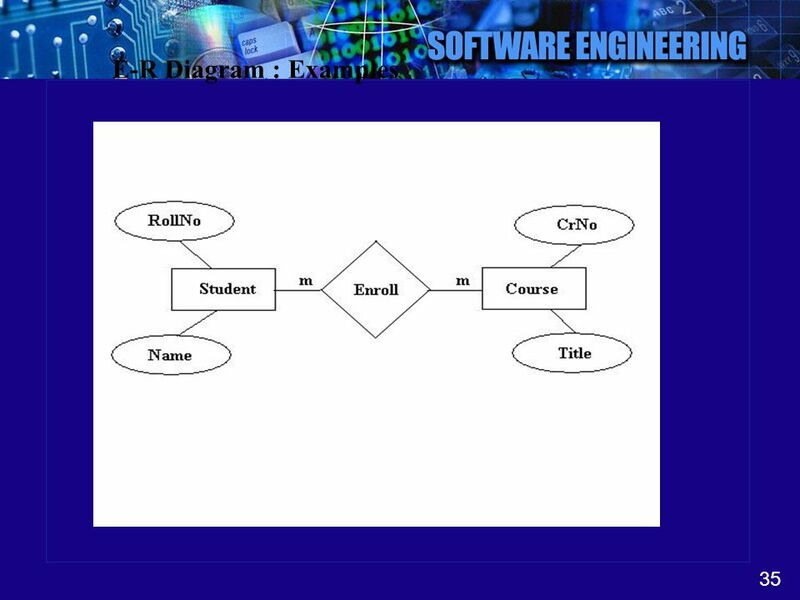 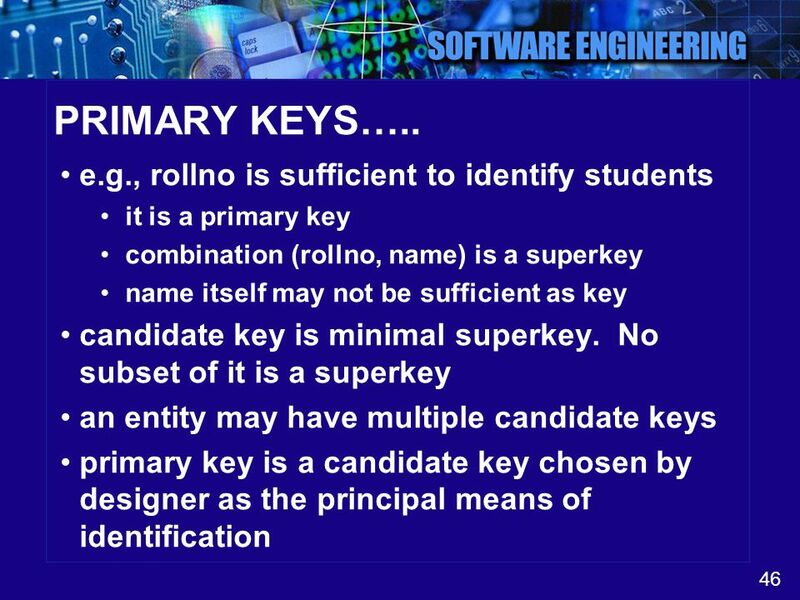 entity Student name rollno …. 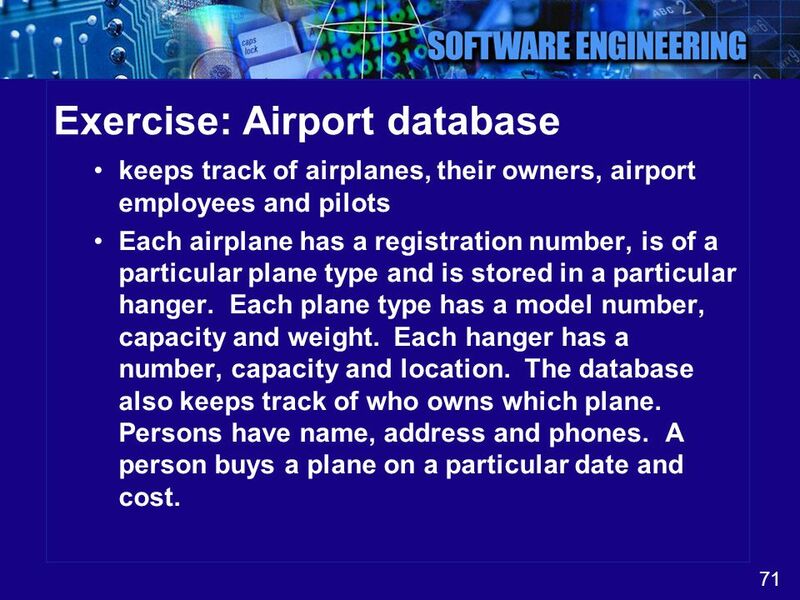 keeps track of airplanes, their owners, airport employees and pilots Each airplane has a registration number, is of a particular plane type and is stored in a particular hanger. 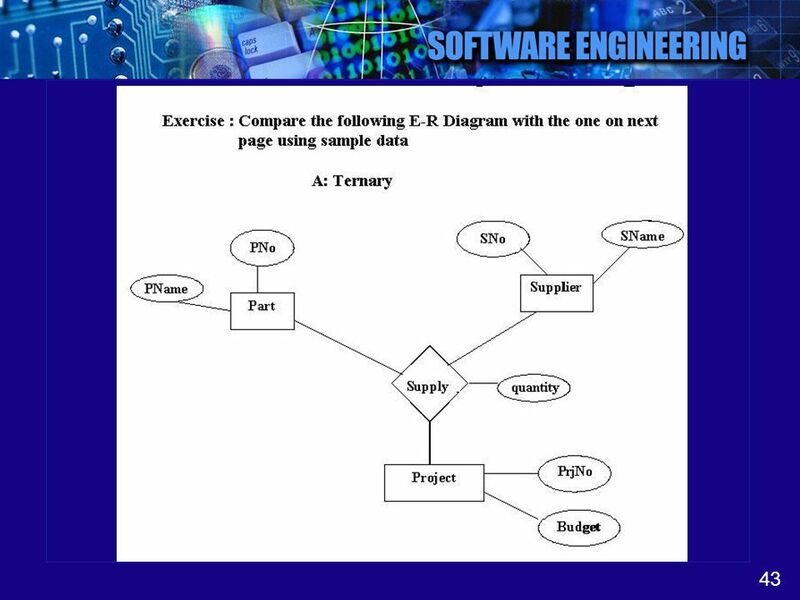 Each plane type has a model number, capacity and weight. 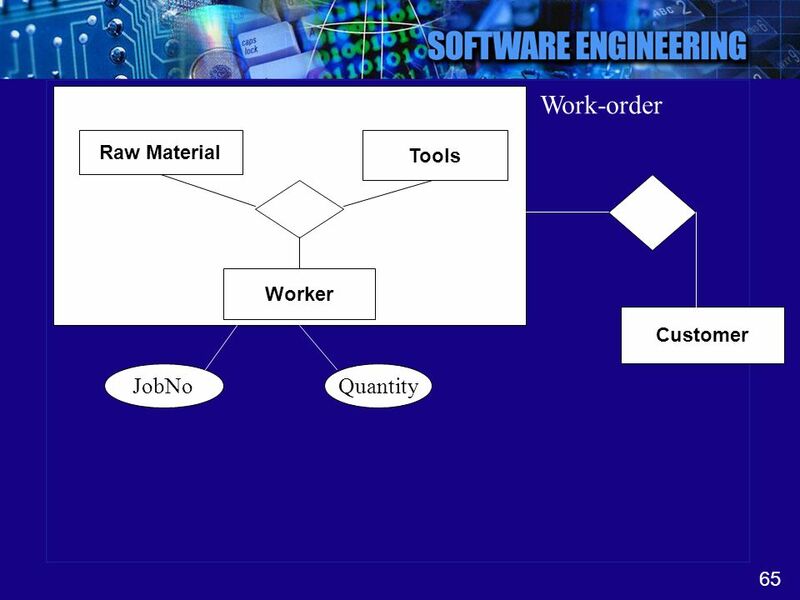 Each hanger has a number, capacity and location. 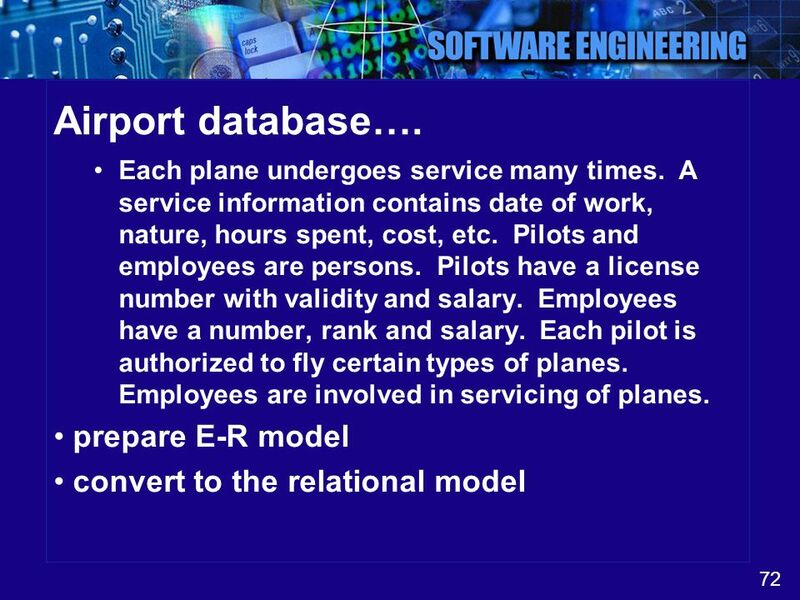 The database also keeps track of who owns which plane. 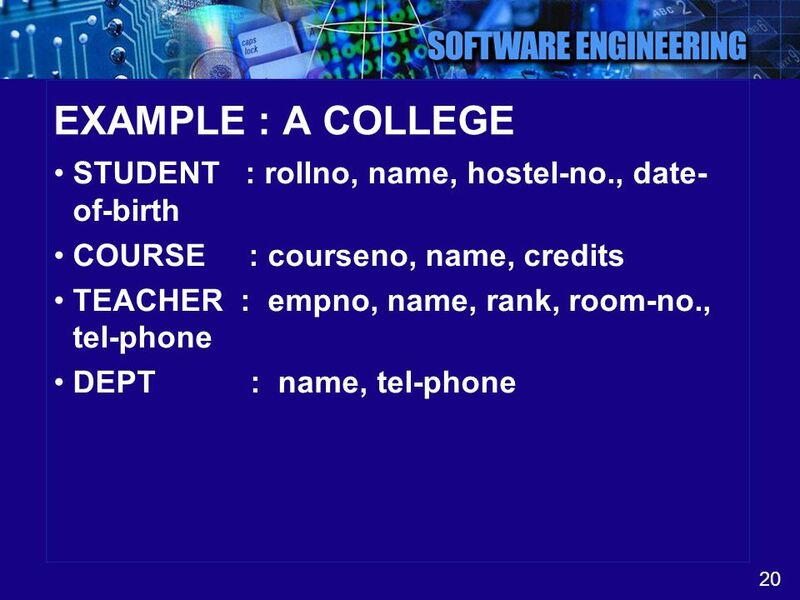 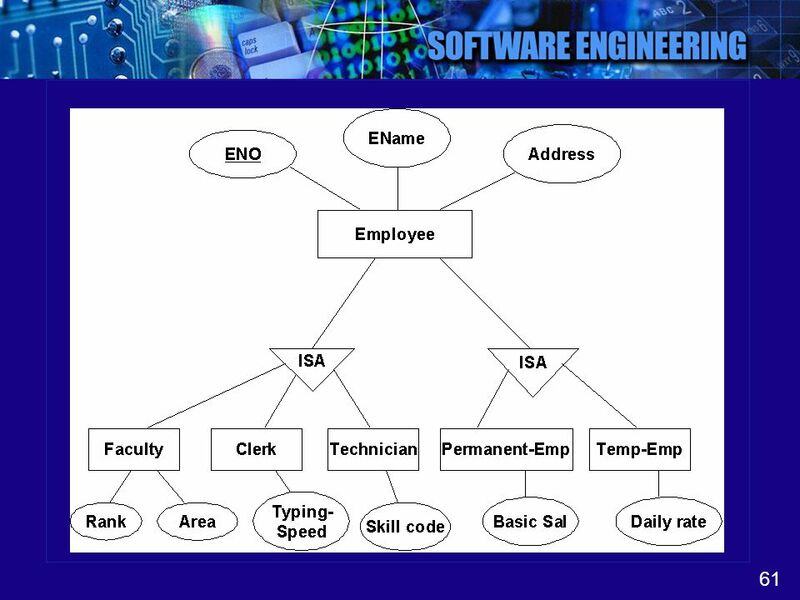 Persons have name, address and phones. 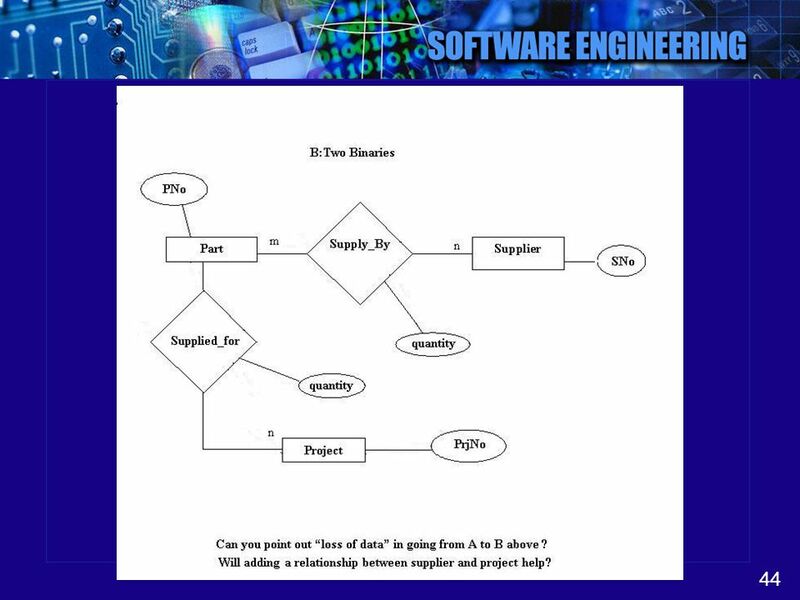 A person buys a plane on a particular date and cost. 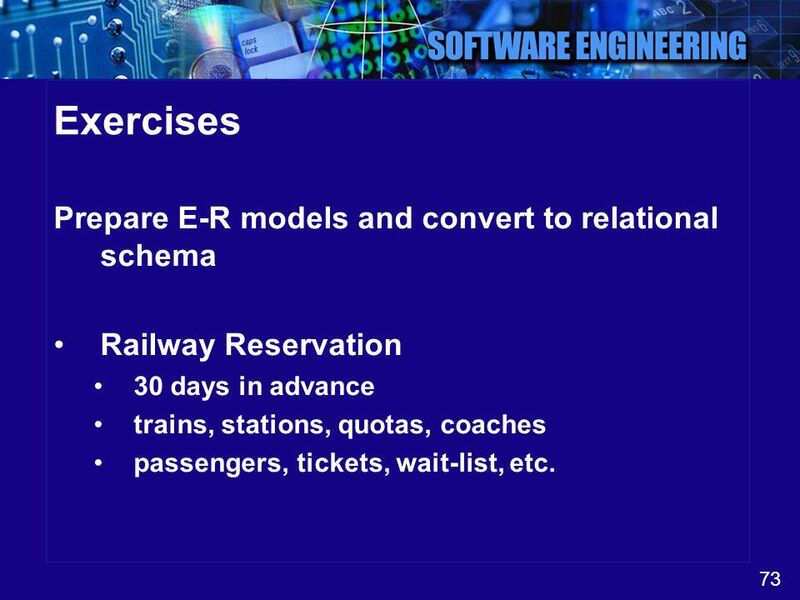 Railway Reservation 30 days in advance trains, stations, quotas, coaches passengers, tickets, wait-list, etc. 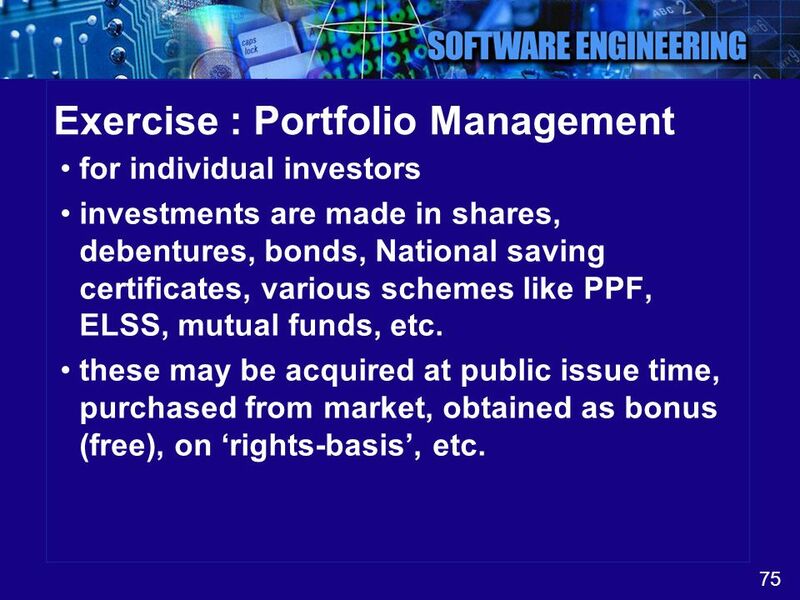 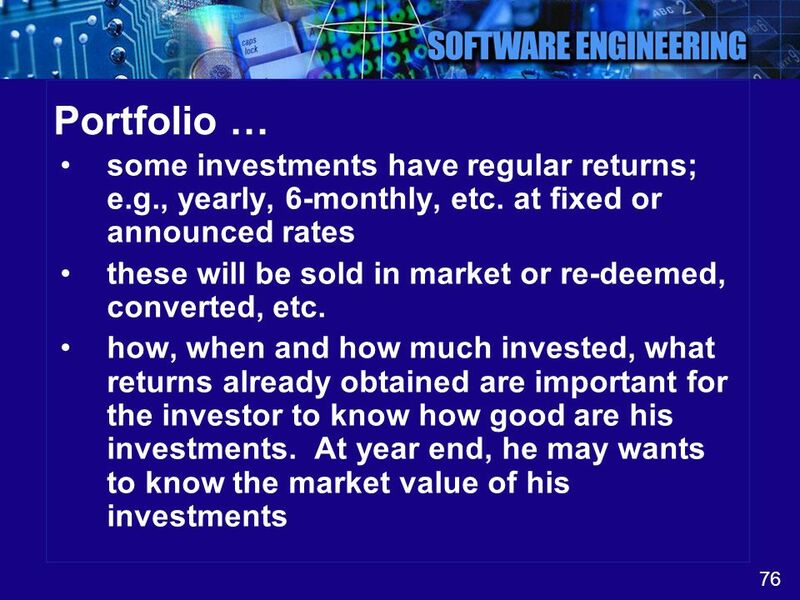 for individual investors investments are made in shares, debentures, bonds, National saving certificates, various schemes like PPF, ELSS, mutual funds, etc. 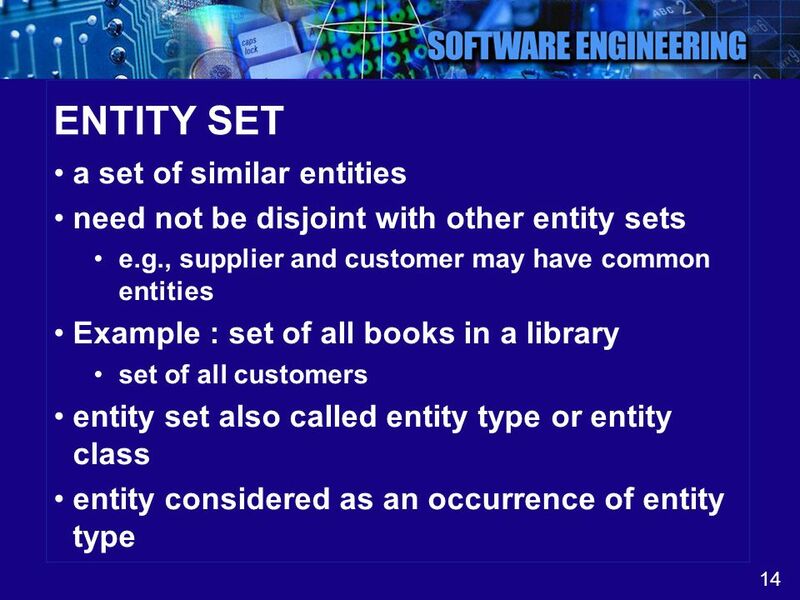 these may be acquired at public issue time, purchased from market, obtained as bonus (free), on ‘rights-basis’, etc. 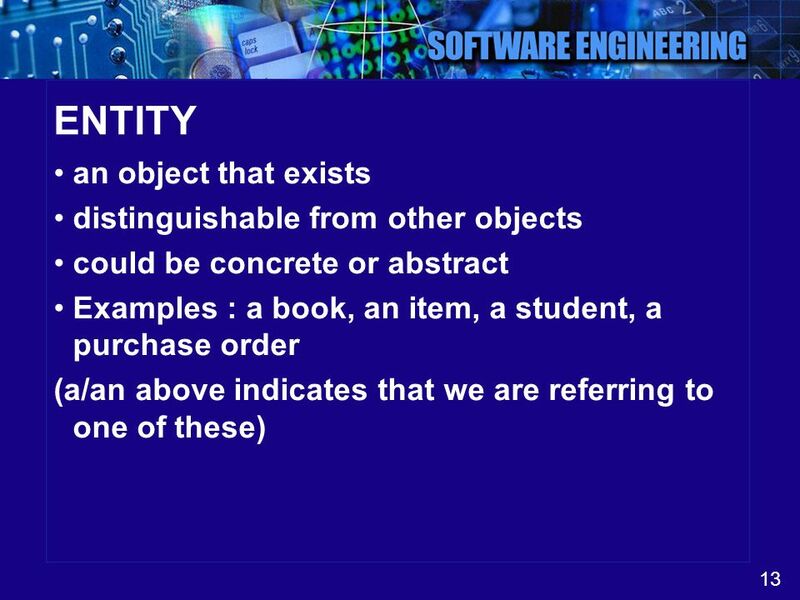 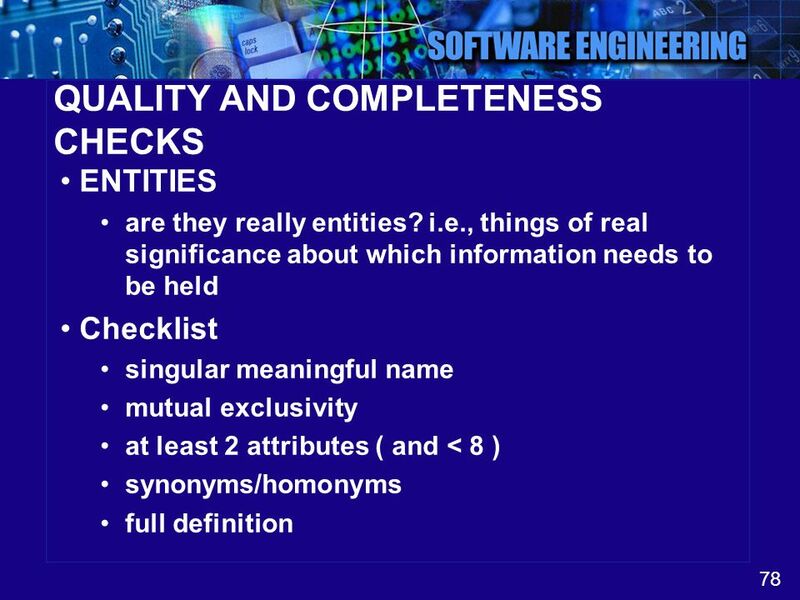 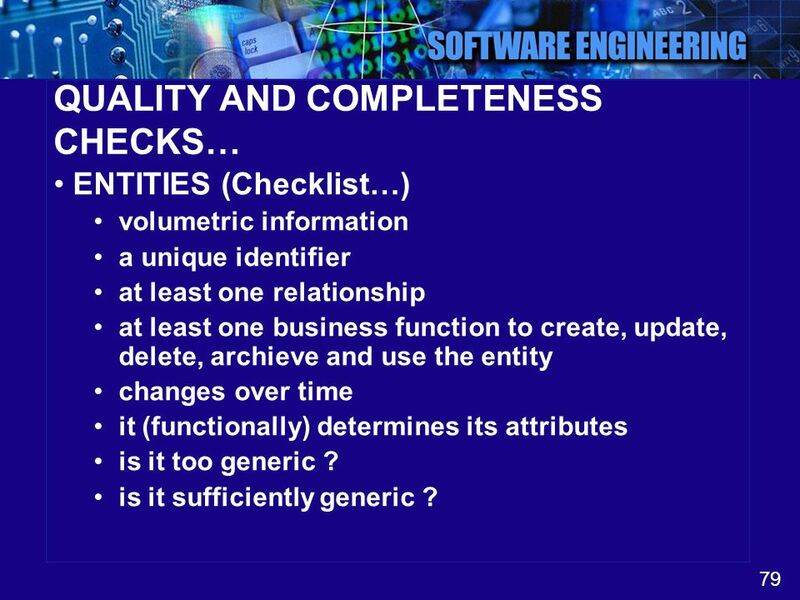 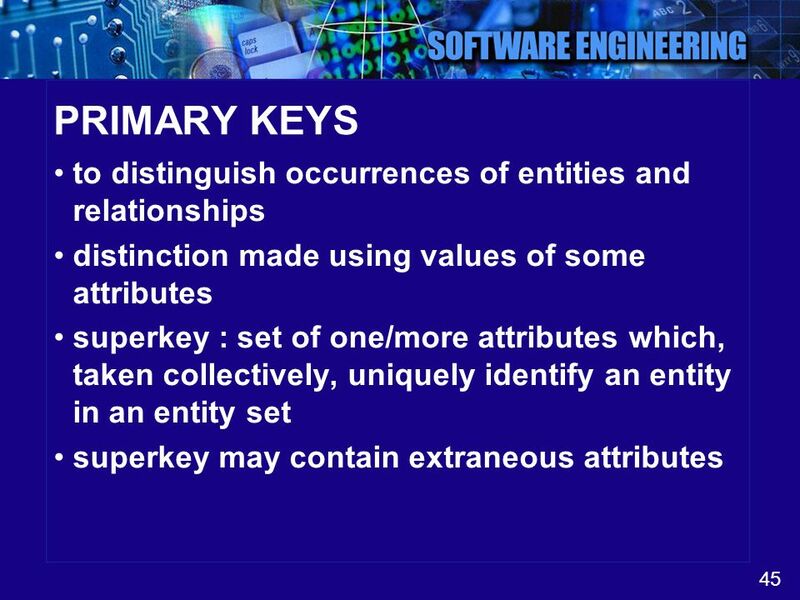 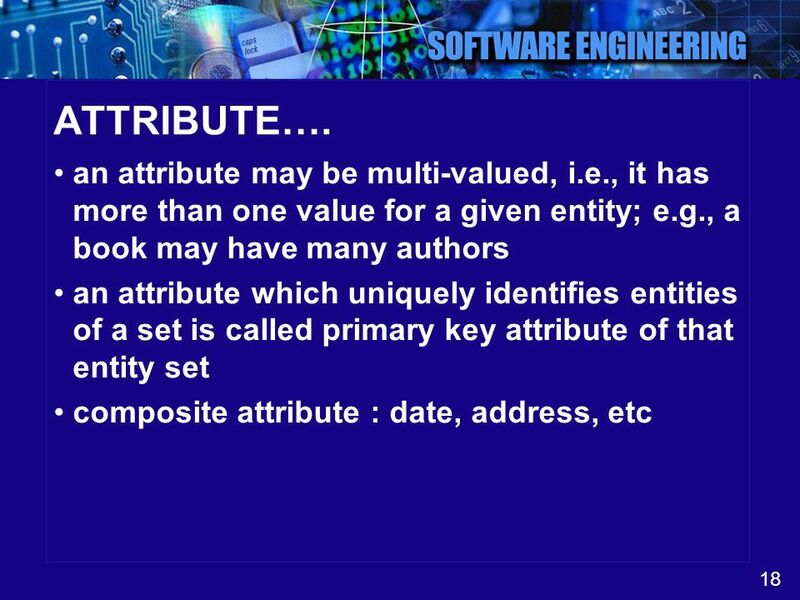 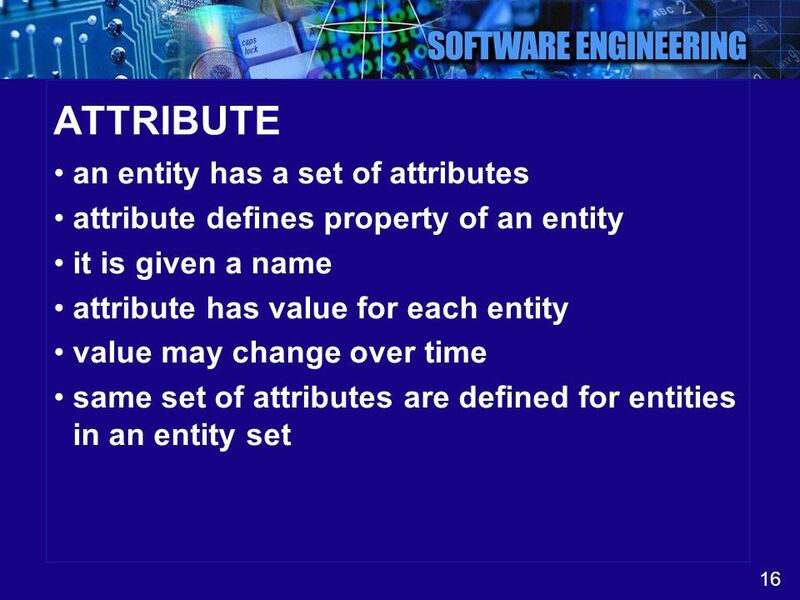 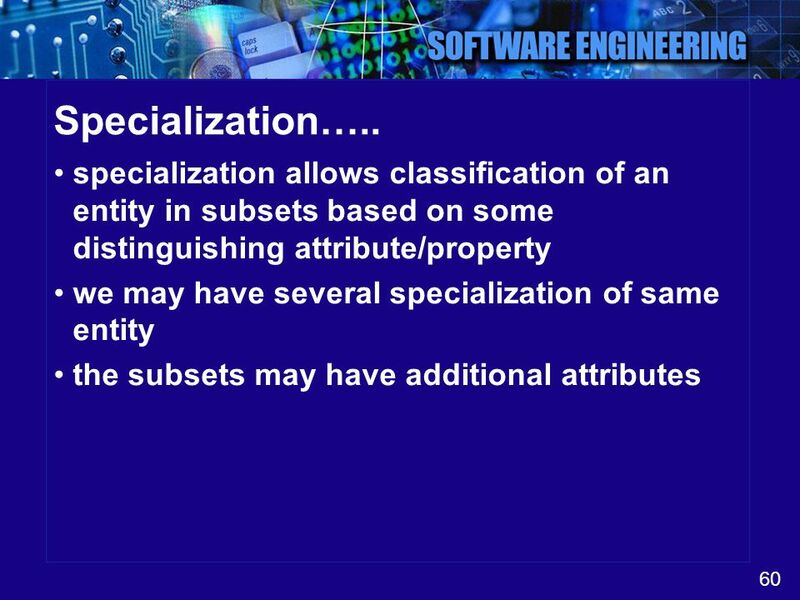 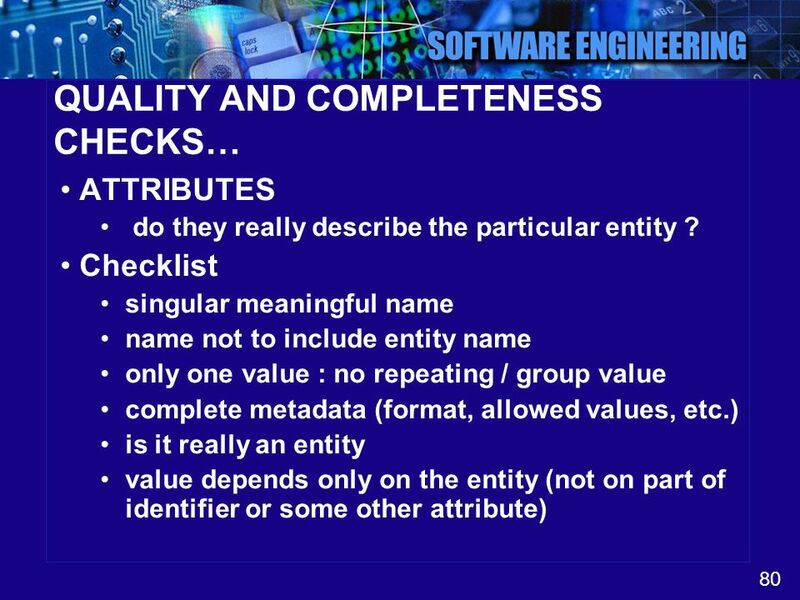 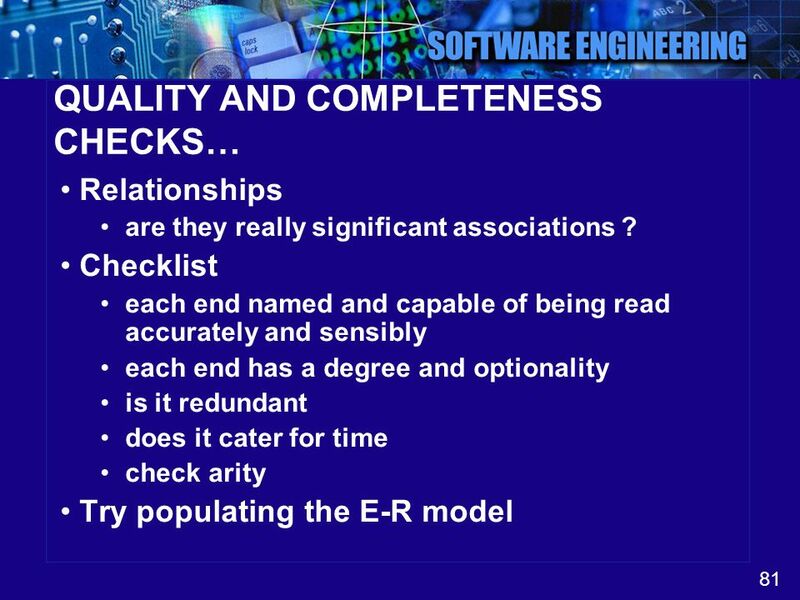 ENTITIES (Checklist…) volumetric information a unique identifier at least one relationship at least one business function to create, update, delete, archieve and use the entity changes over time it (functionally) determines its attributes is it too generic ? 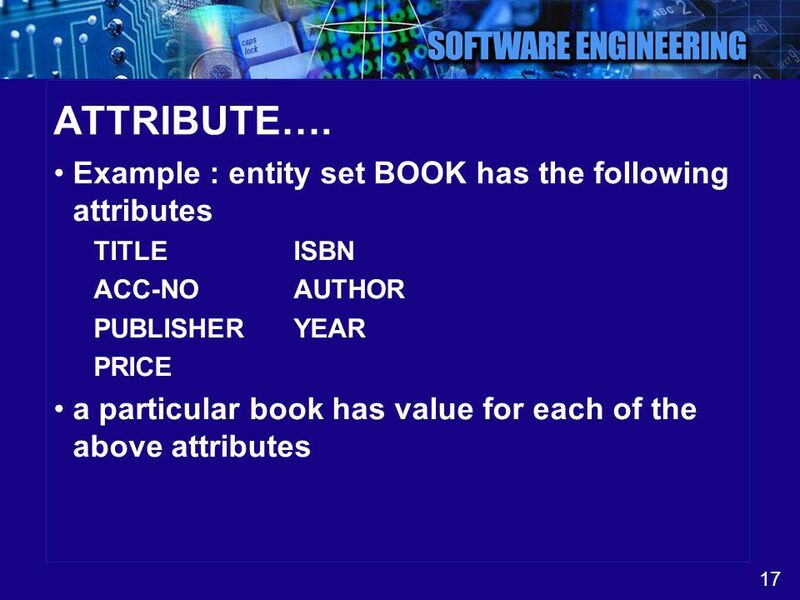 is it sufficiently generic ? 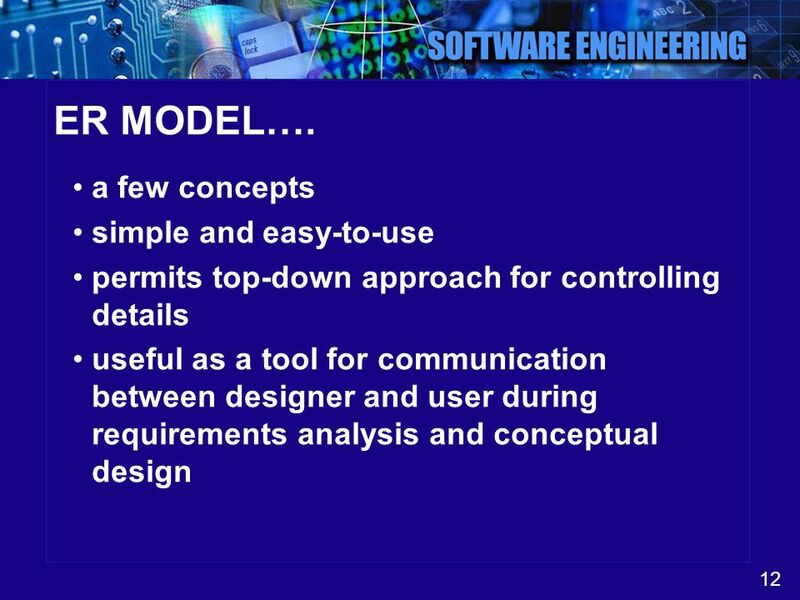 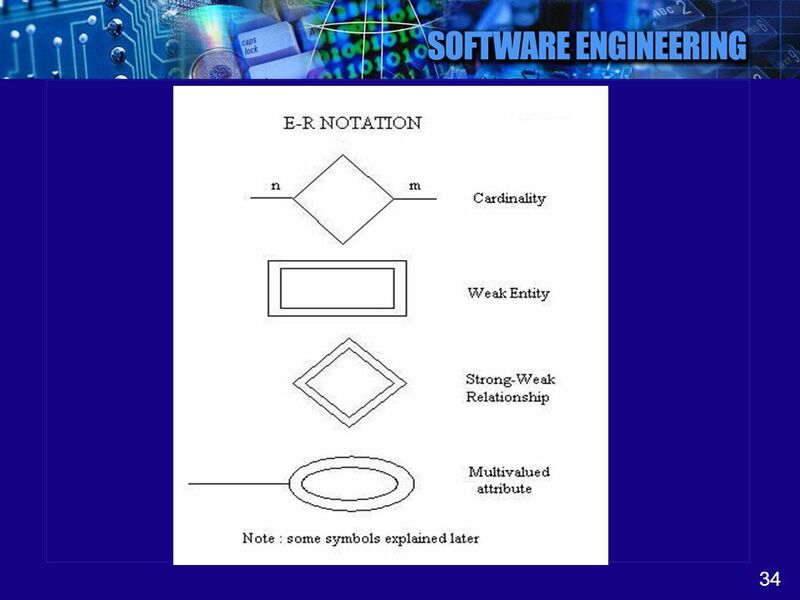 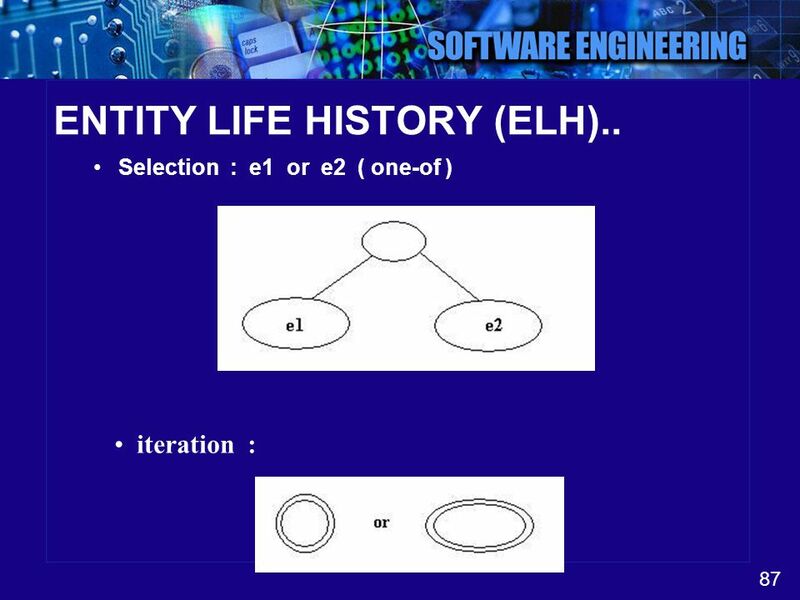 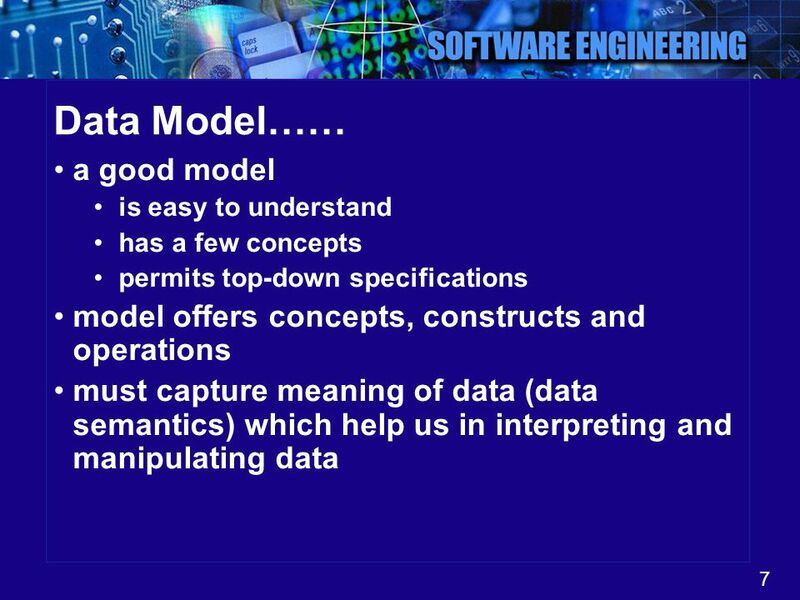 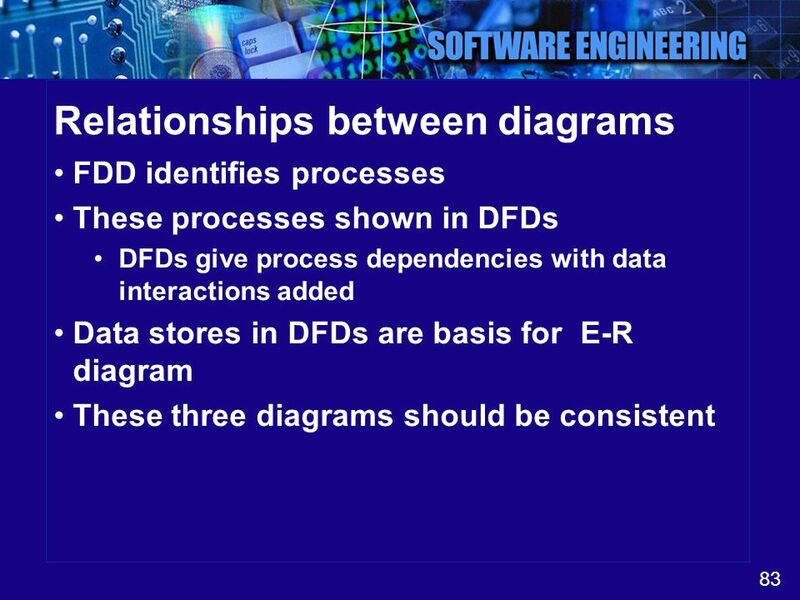 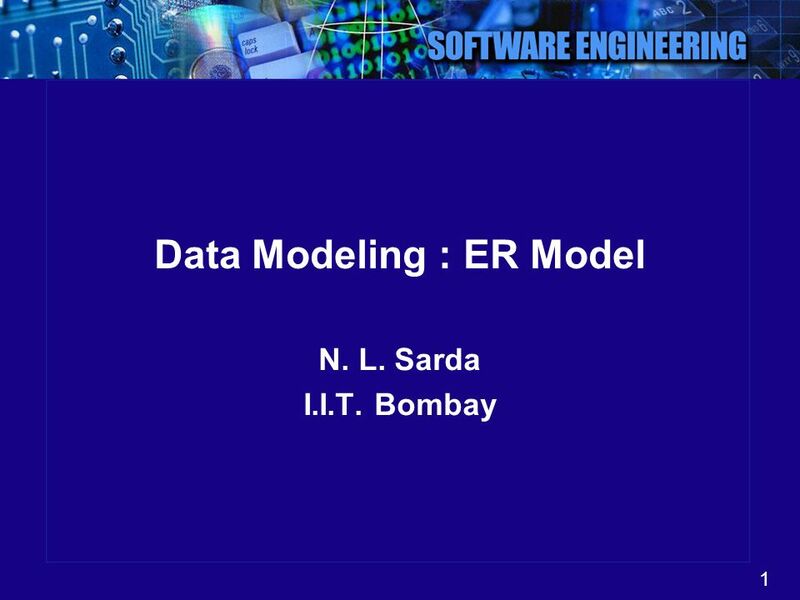 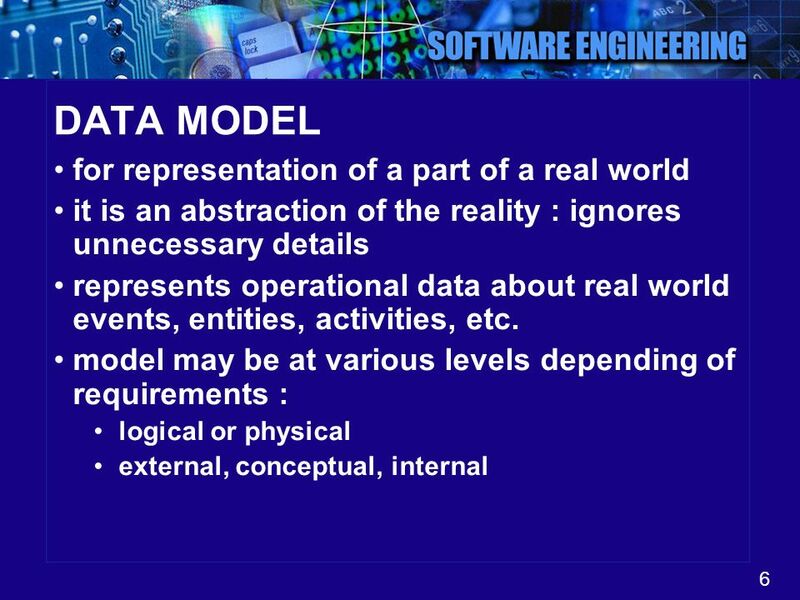 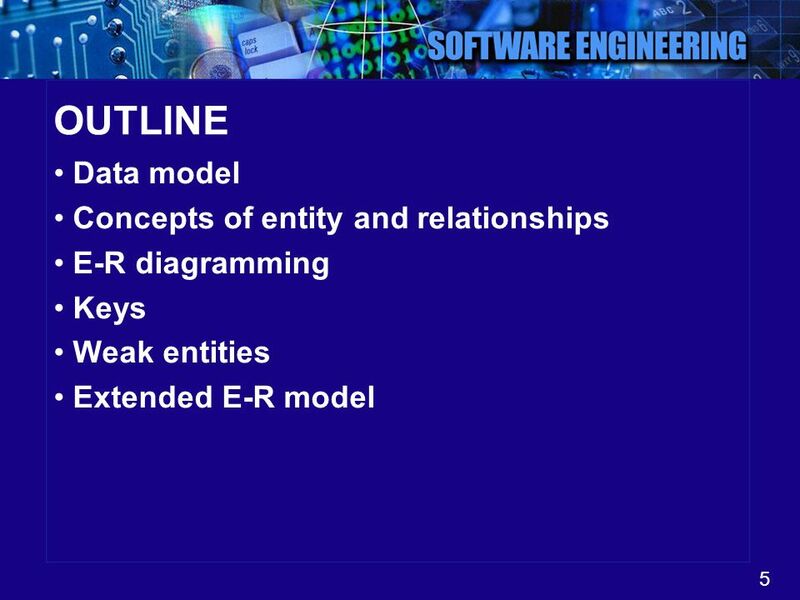 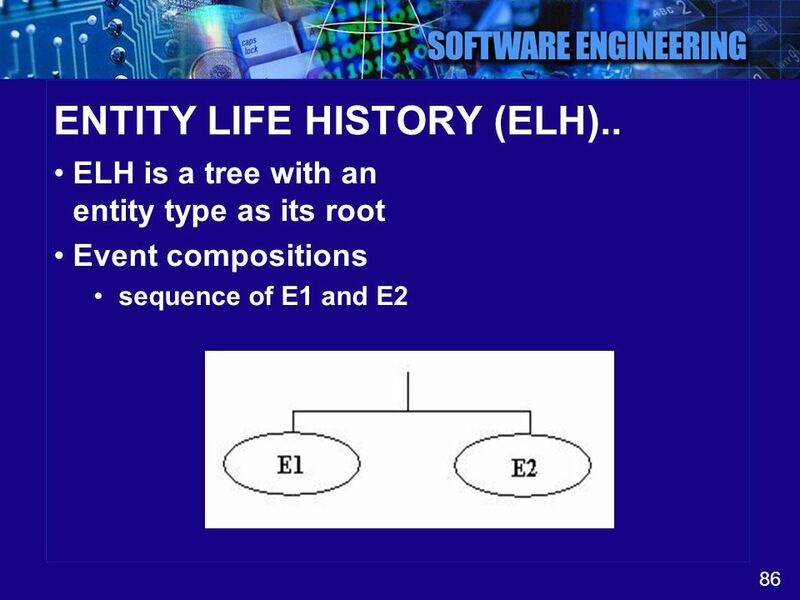 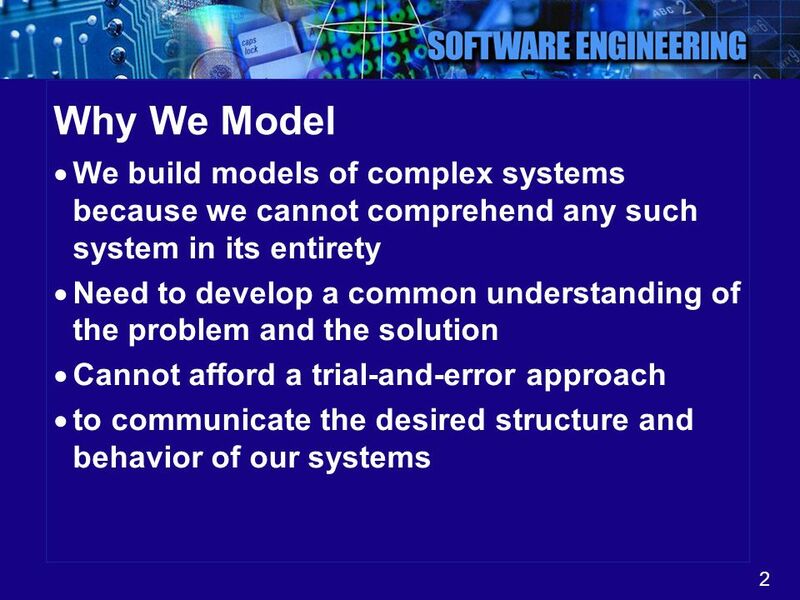 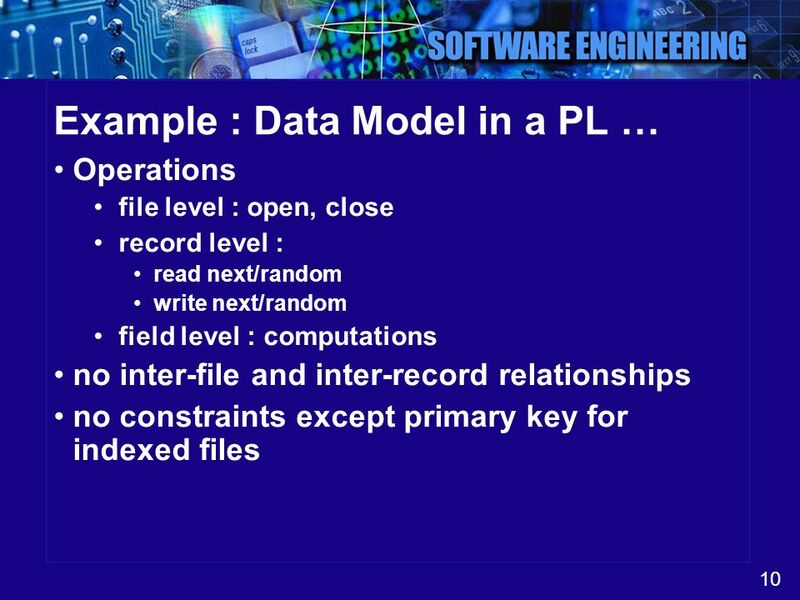 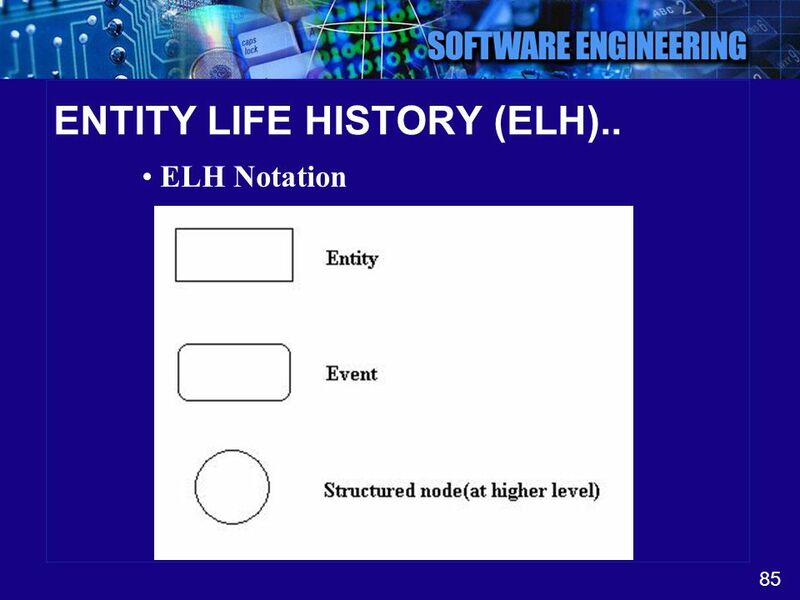 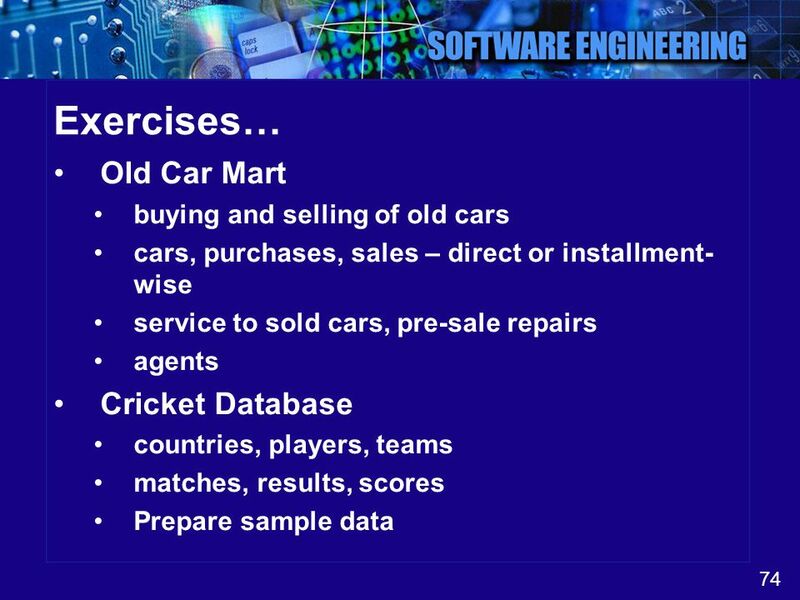 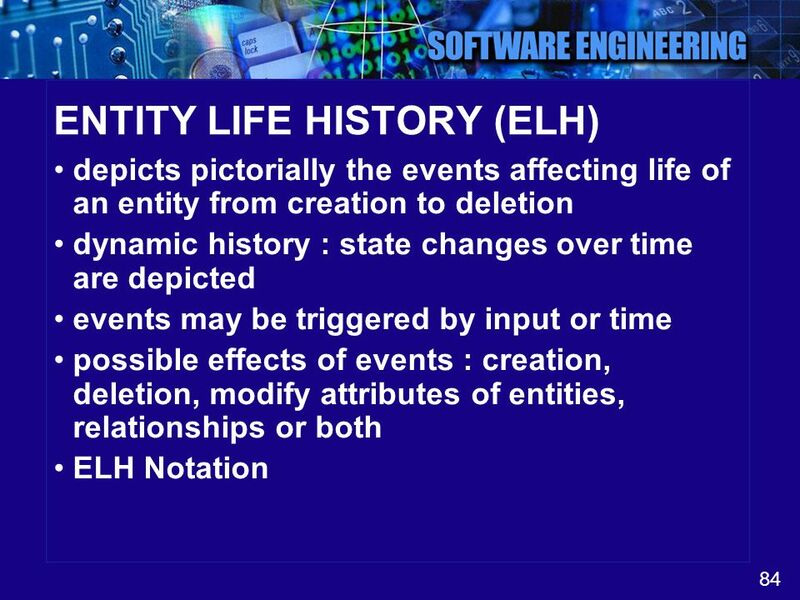 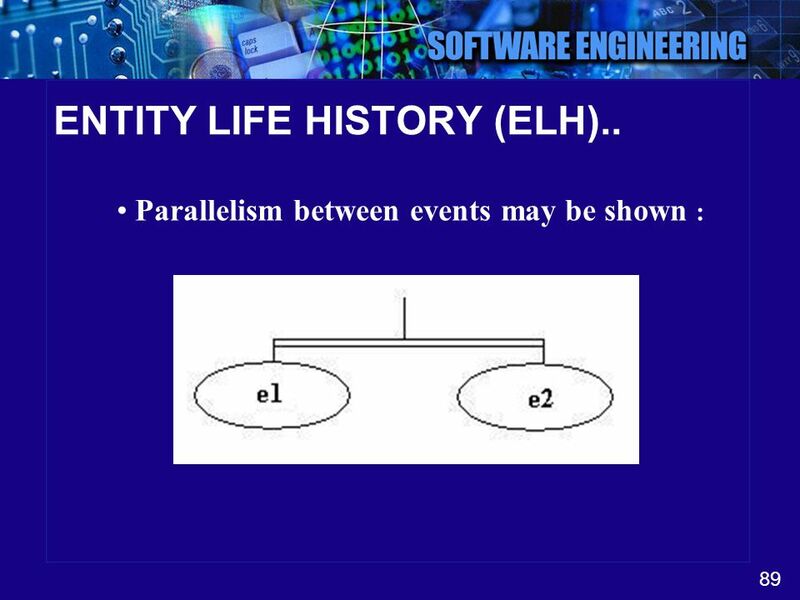 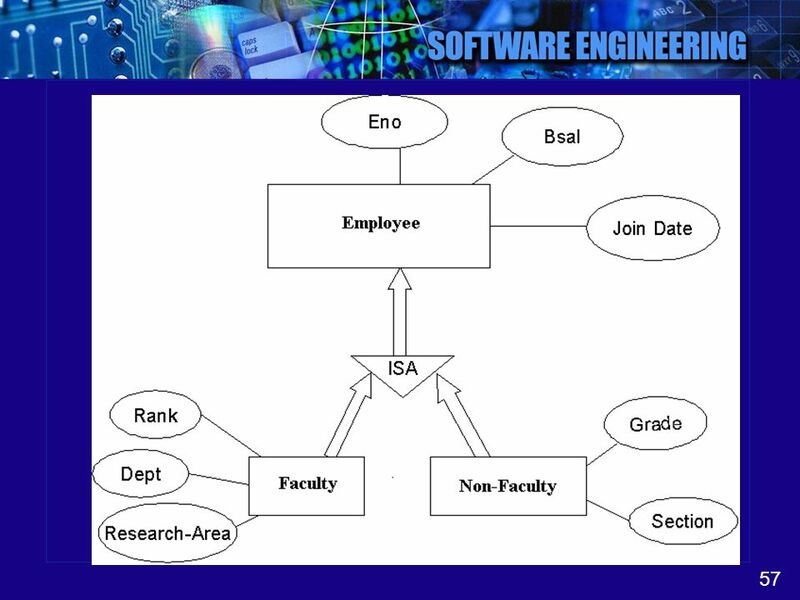 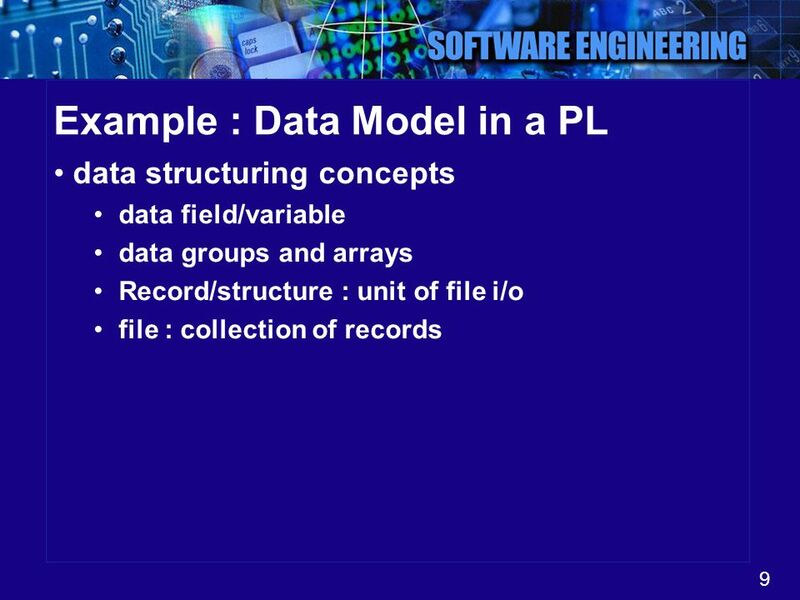 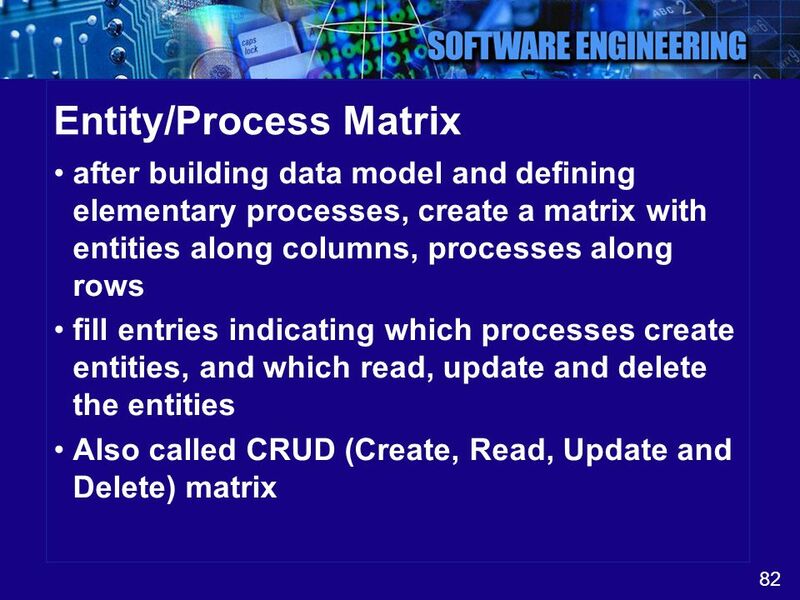 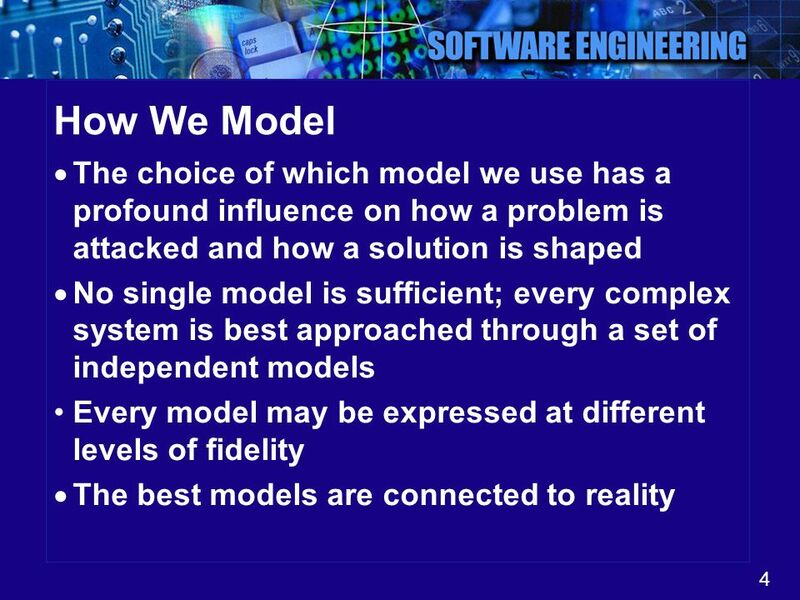 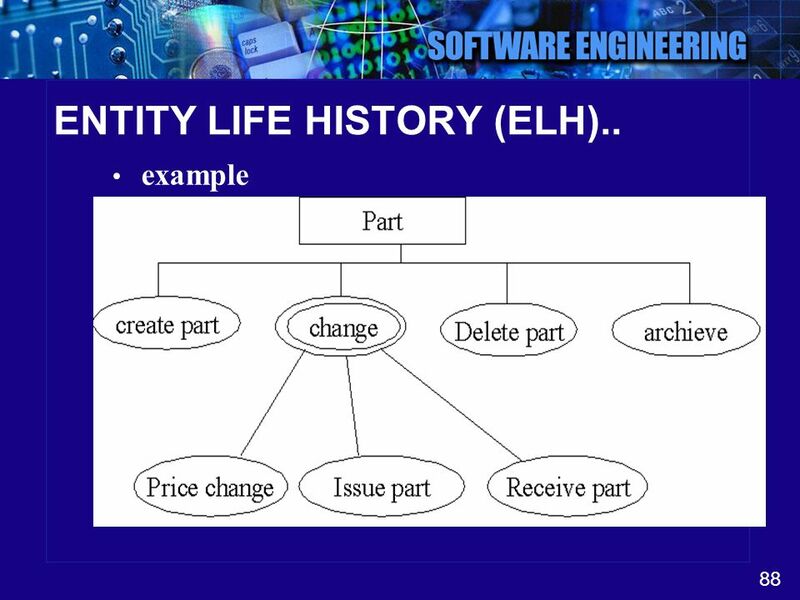 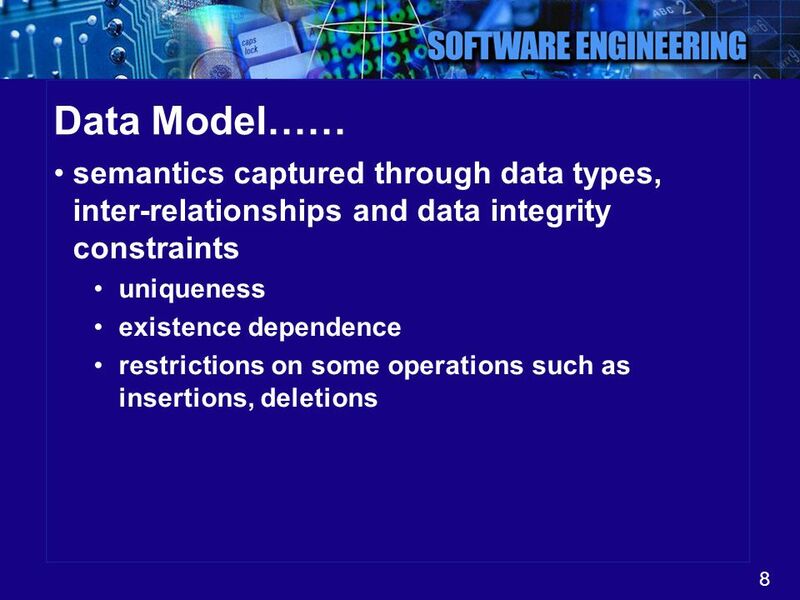 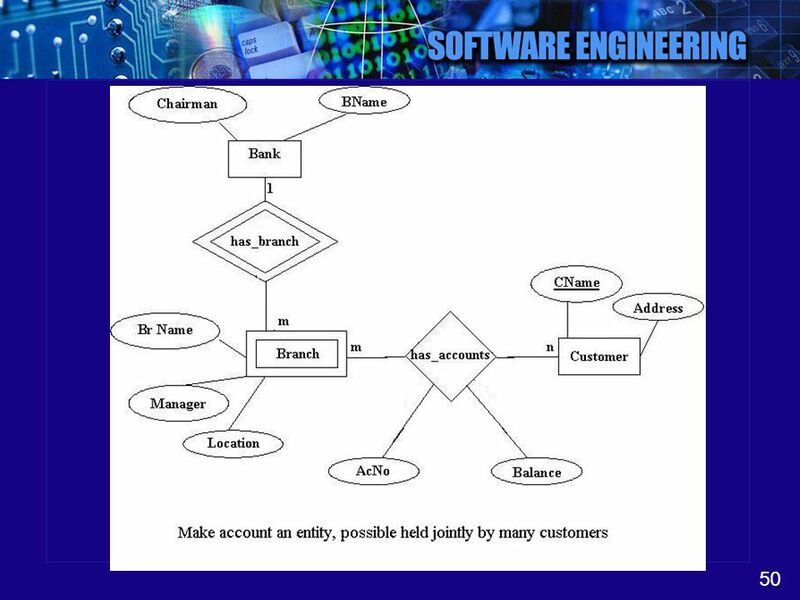 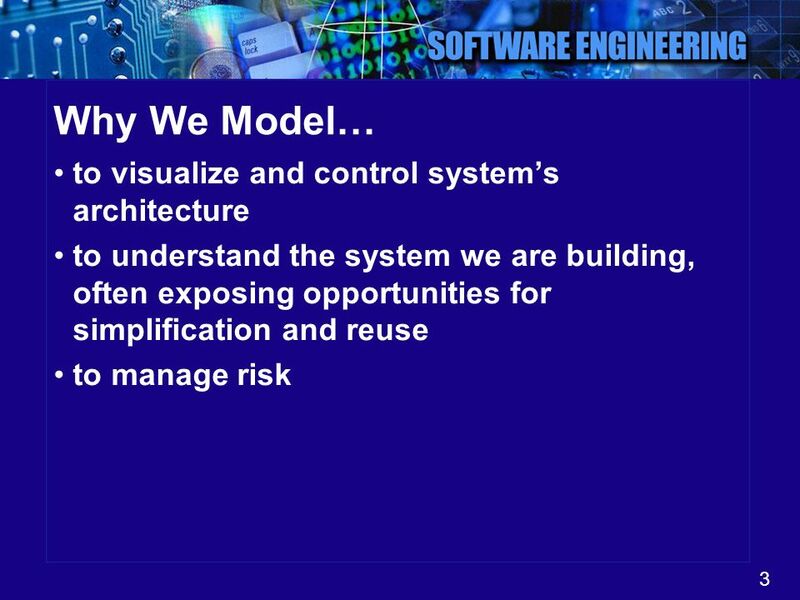 85 ENTITY LIFE HISTORY (ELH)..
86 ENTITY LIFE HISTORY (ELH)..
87 ENTITY LIFE HISTORY (ELH)..
88 ENTITY LIFE HISTORY (ELH)..
89 ENTITY LIFE HISTORY (ELH)..
Download ppt "Data Modeling : ER Model"